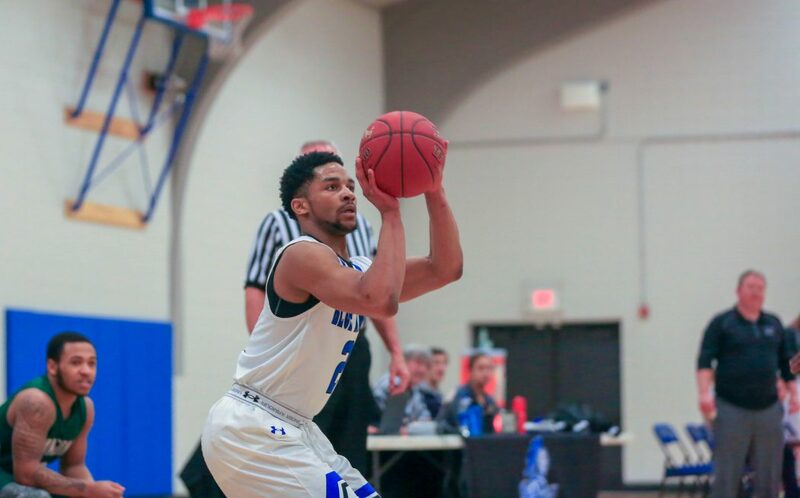 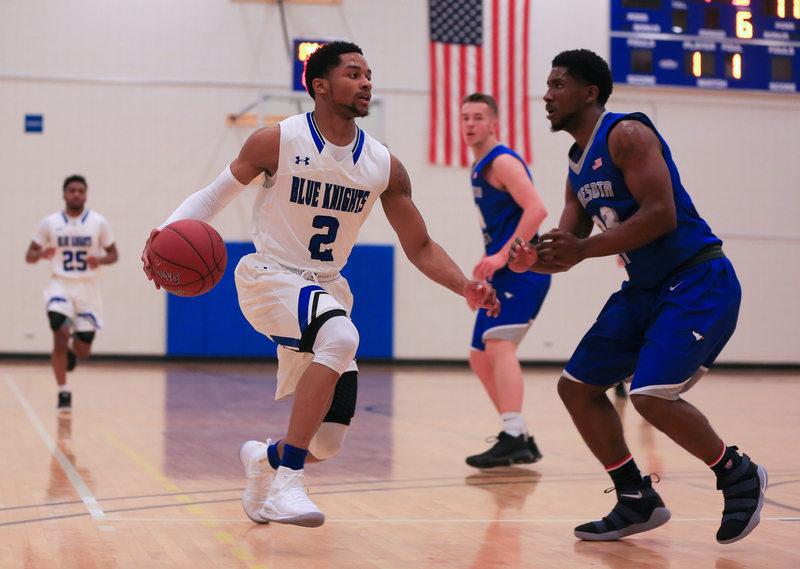 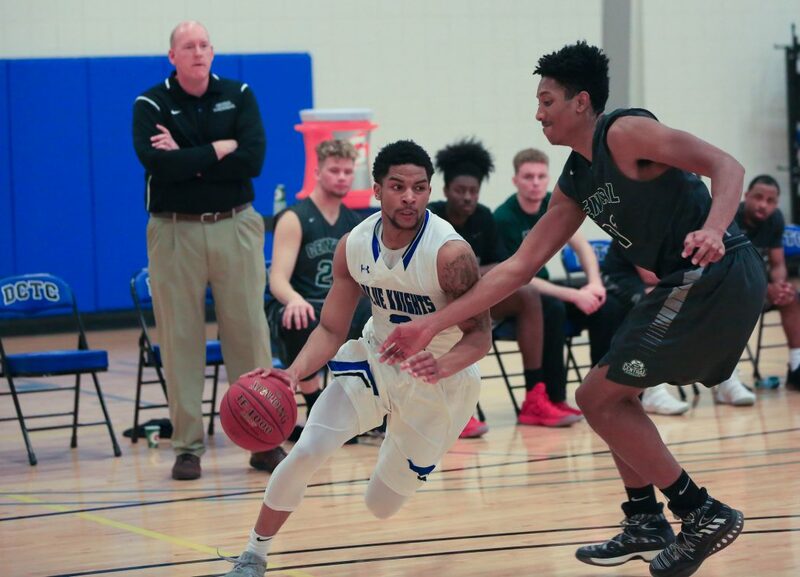 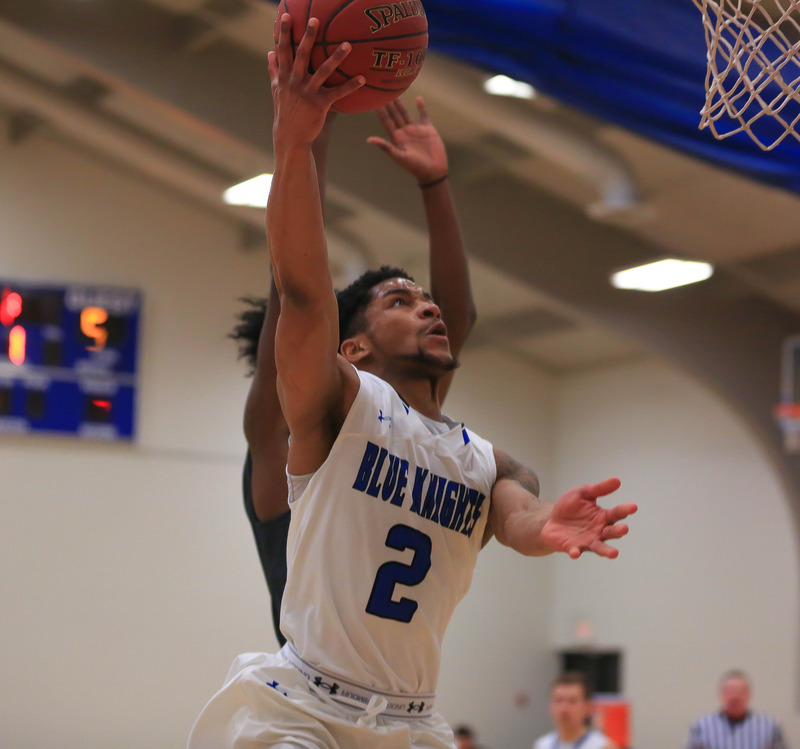 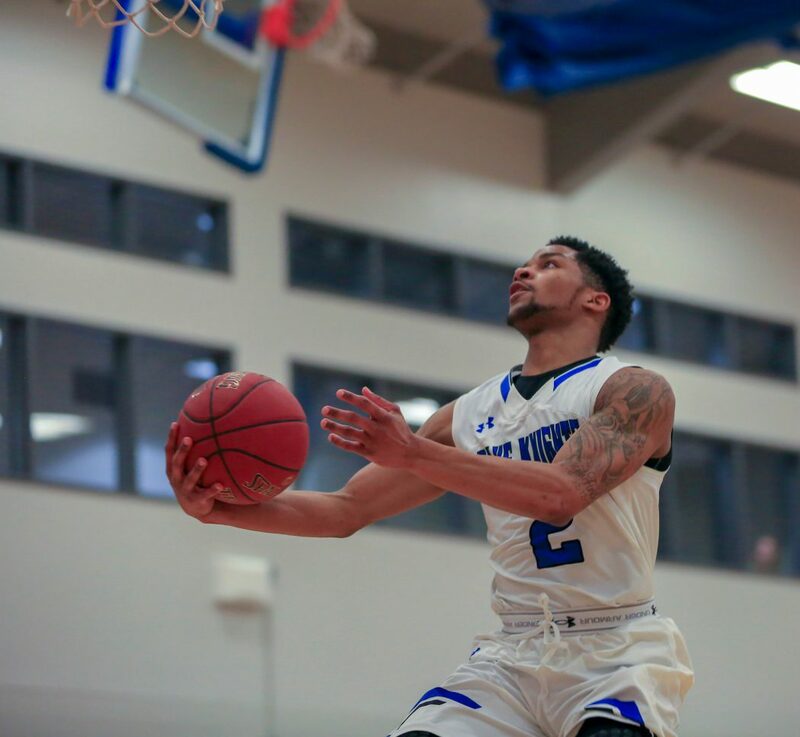 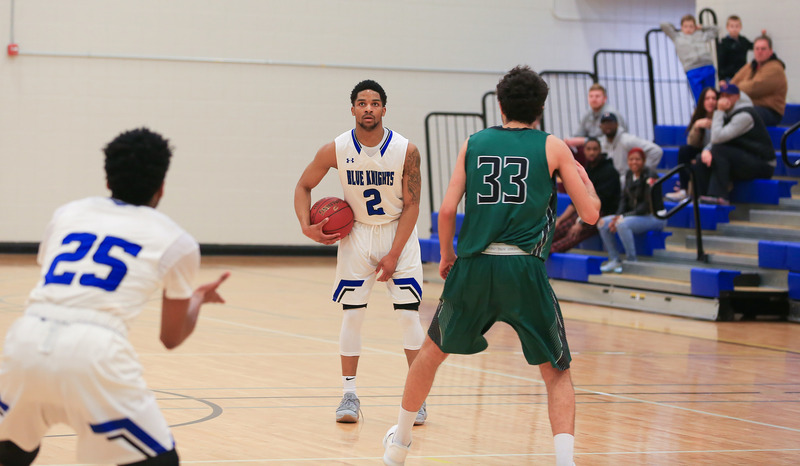 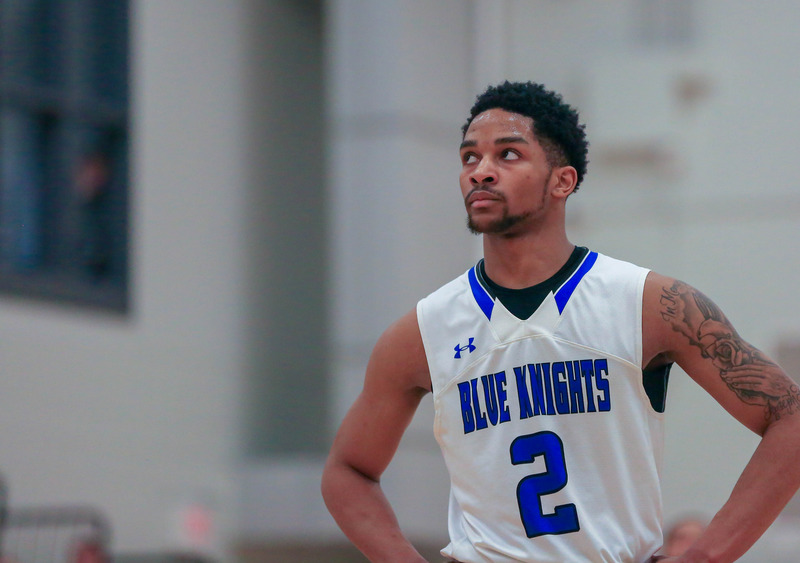 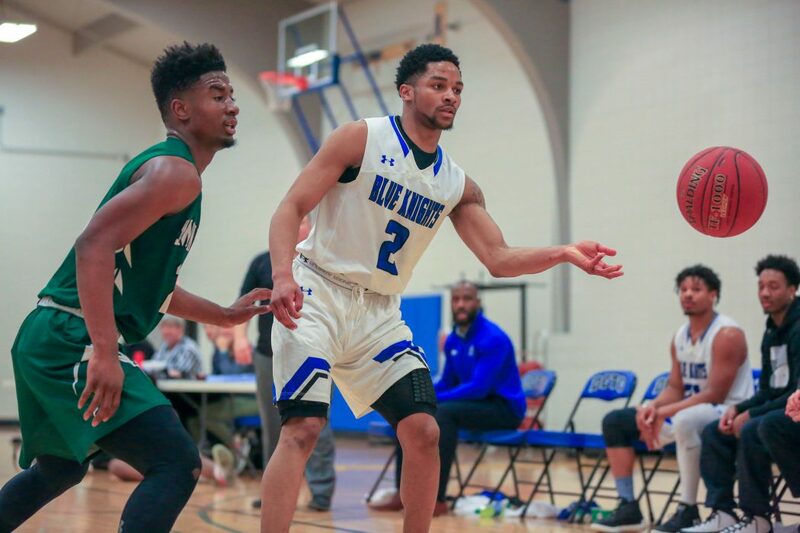 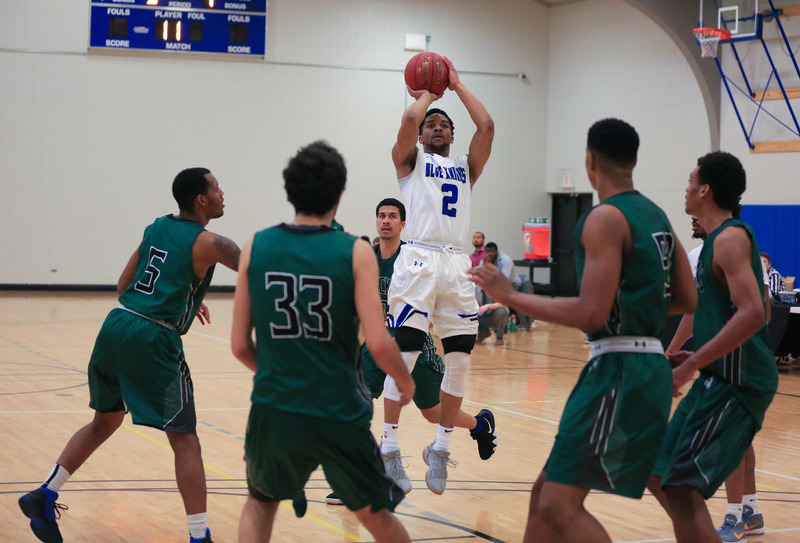 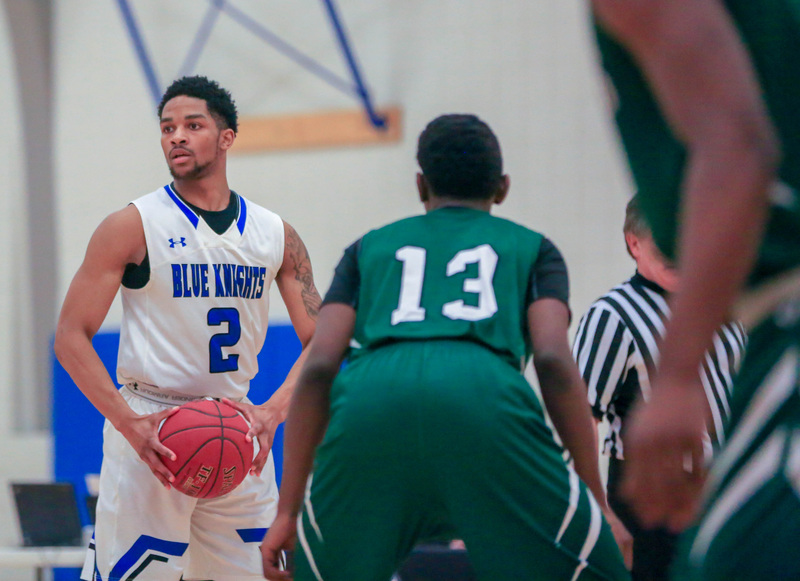 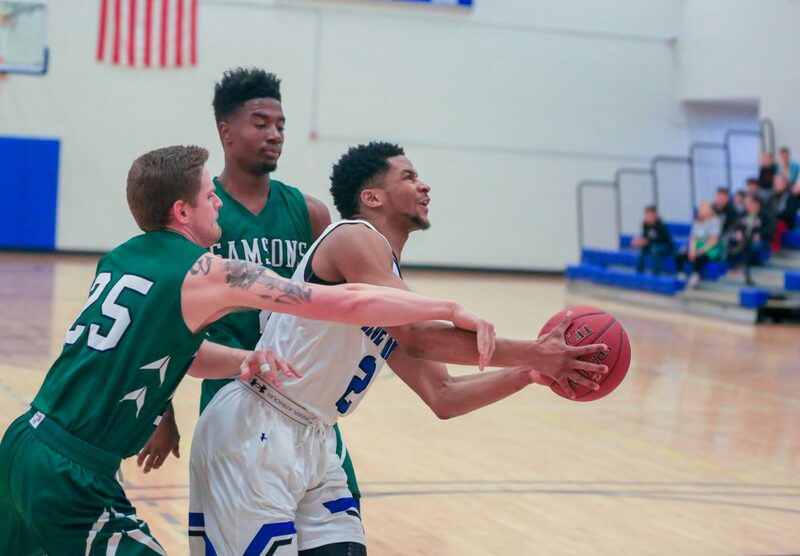 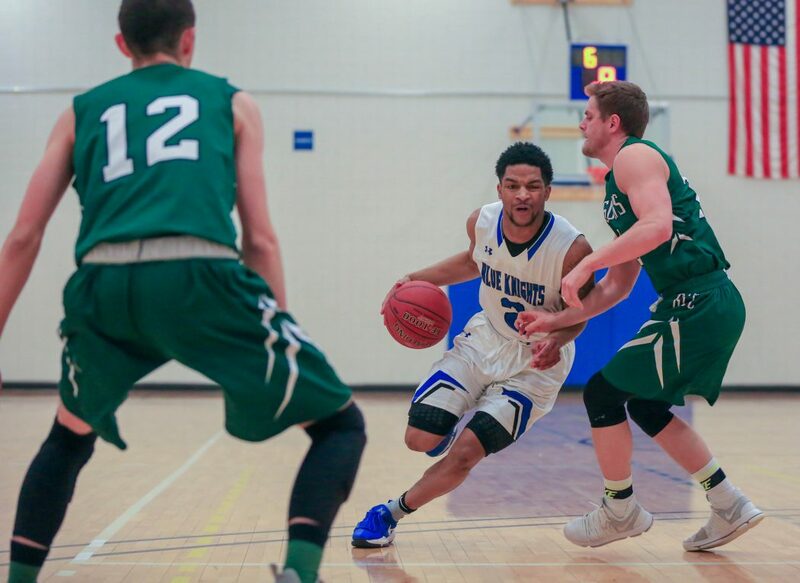 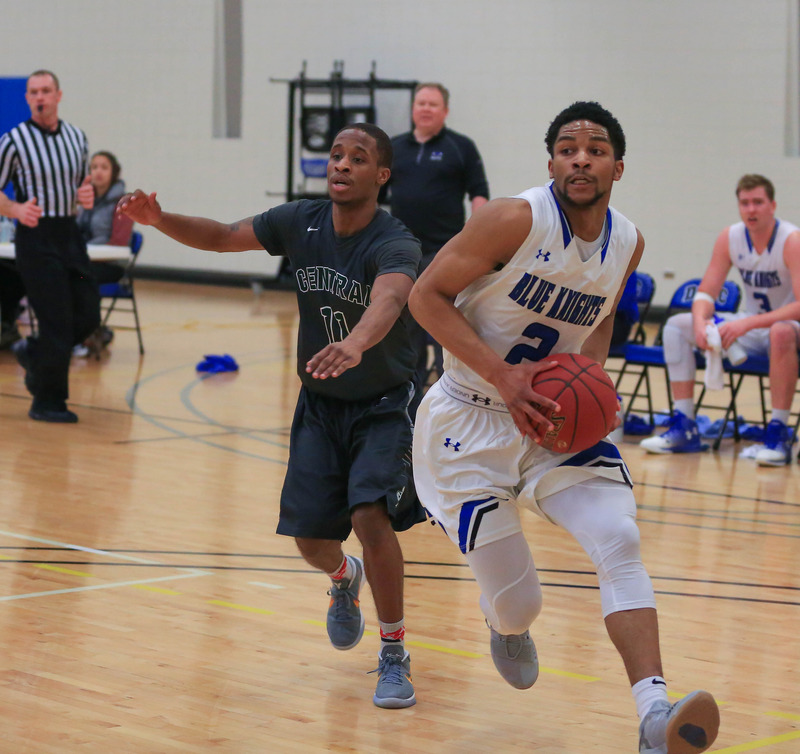 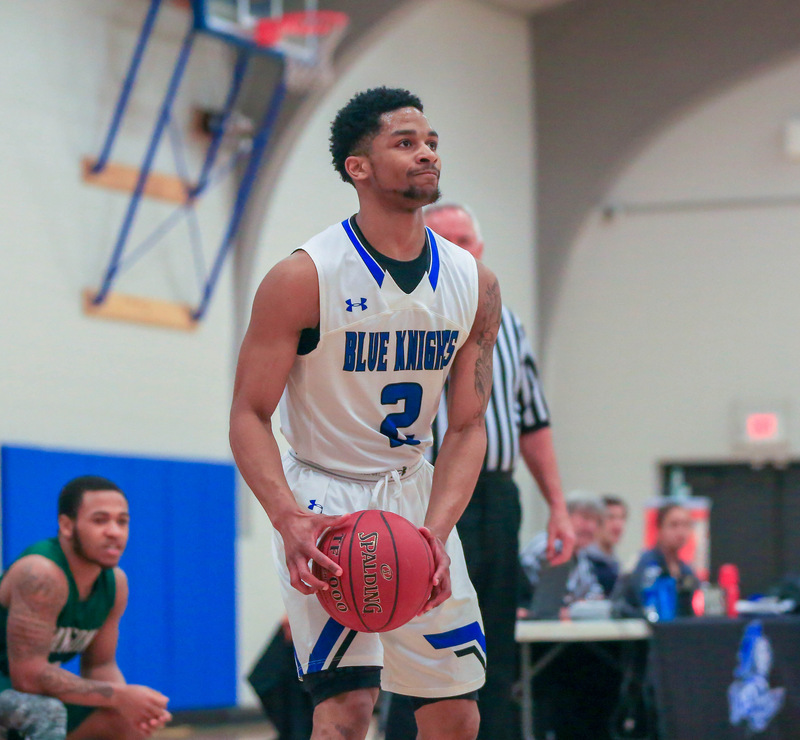 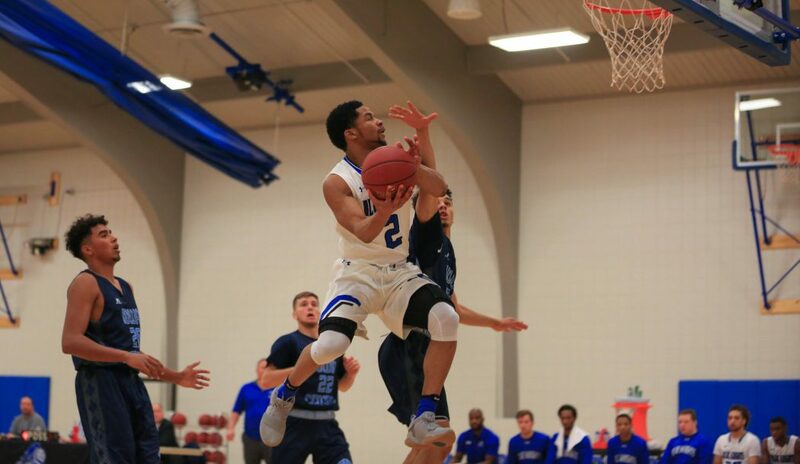 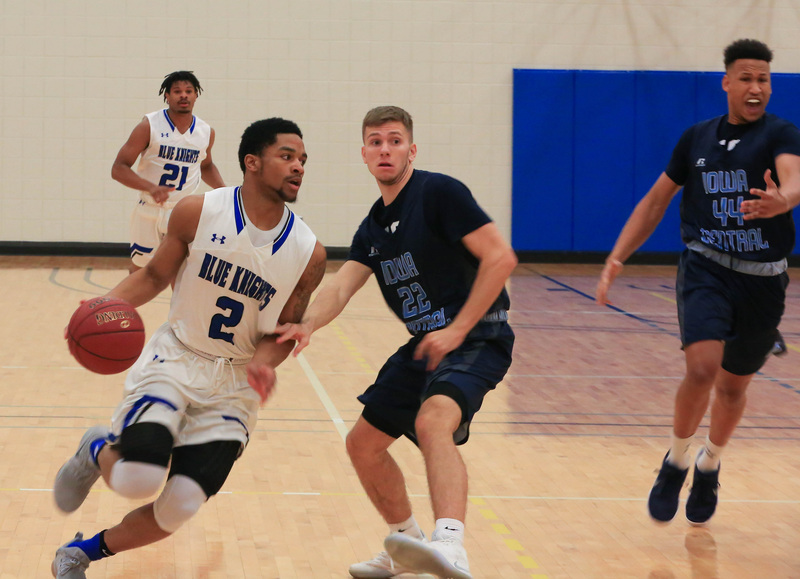 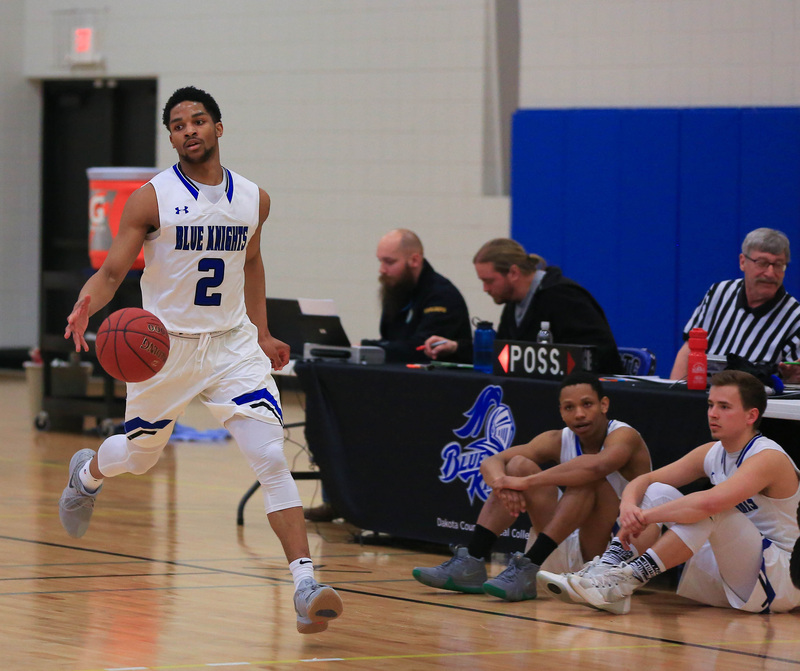 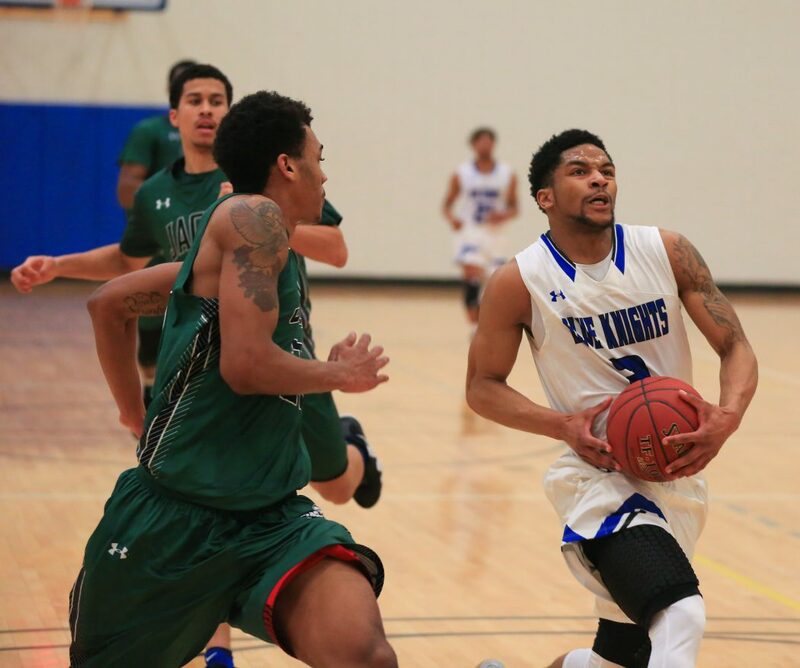 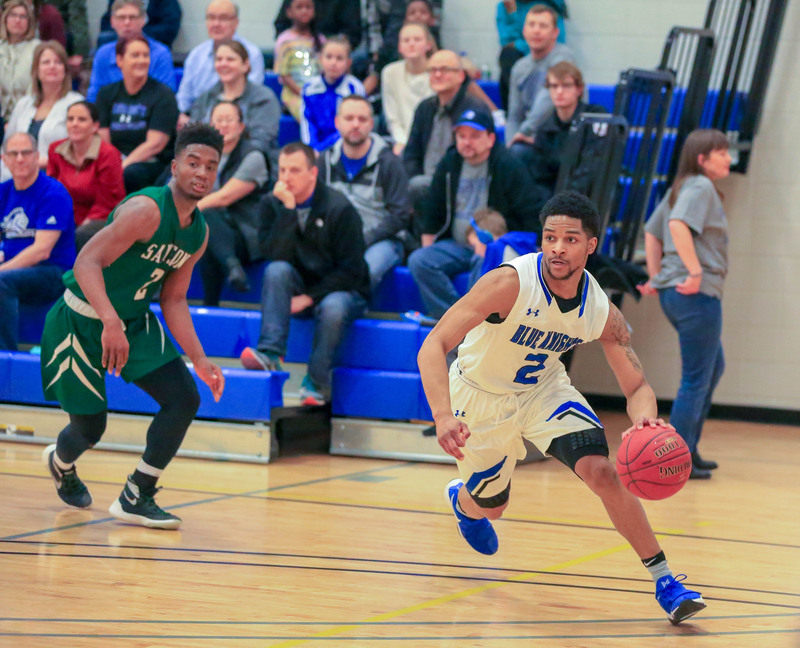 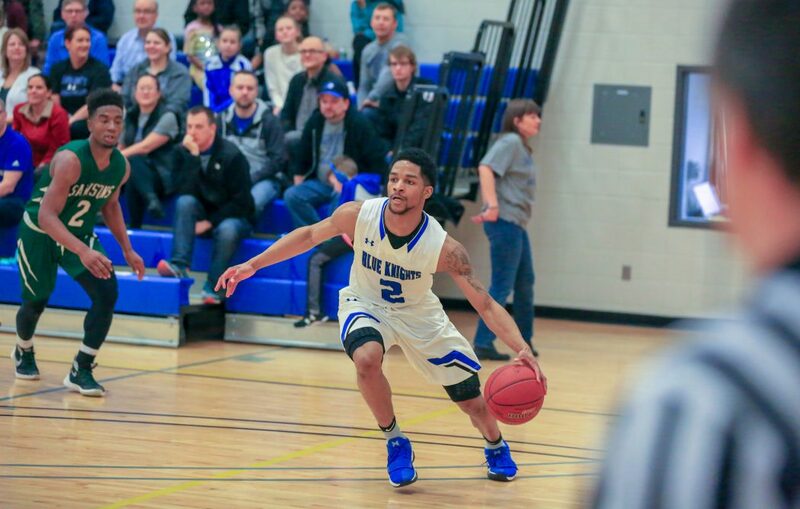 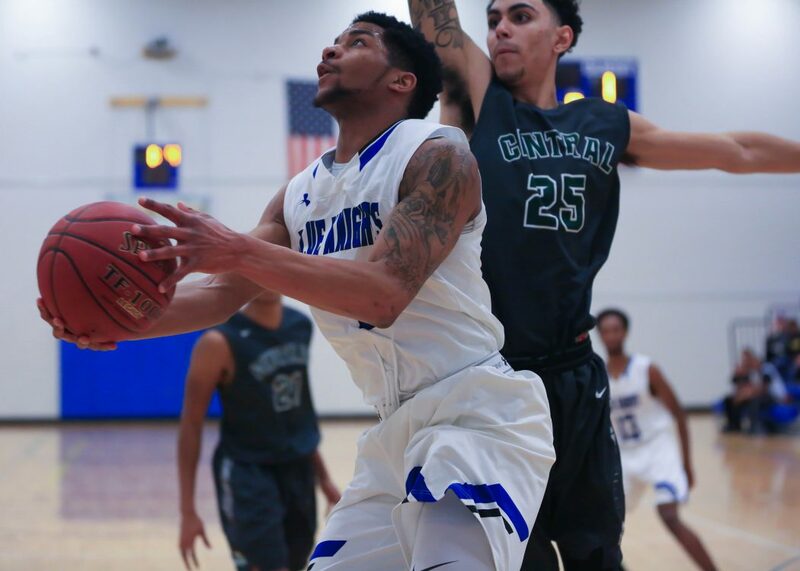 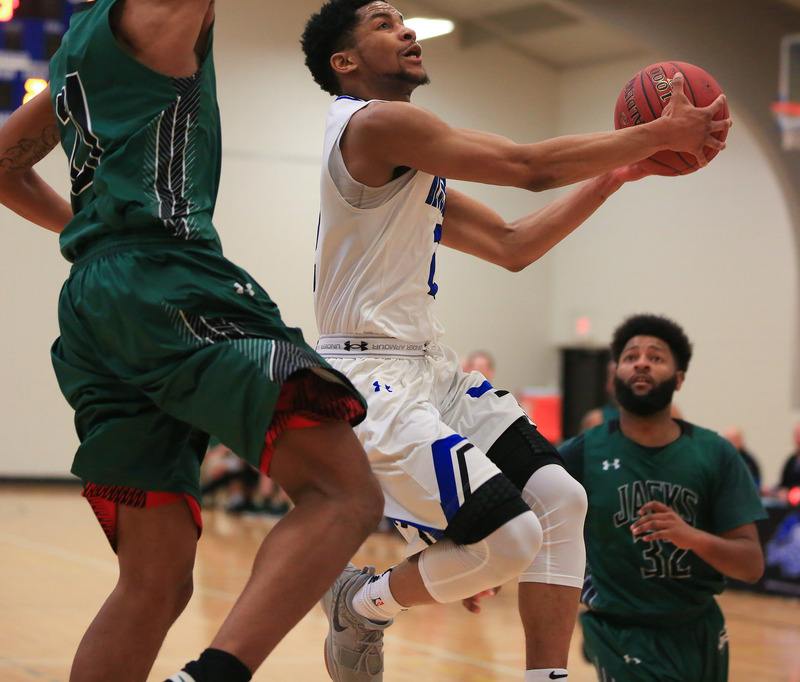 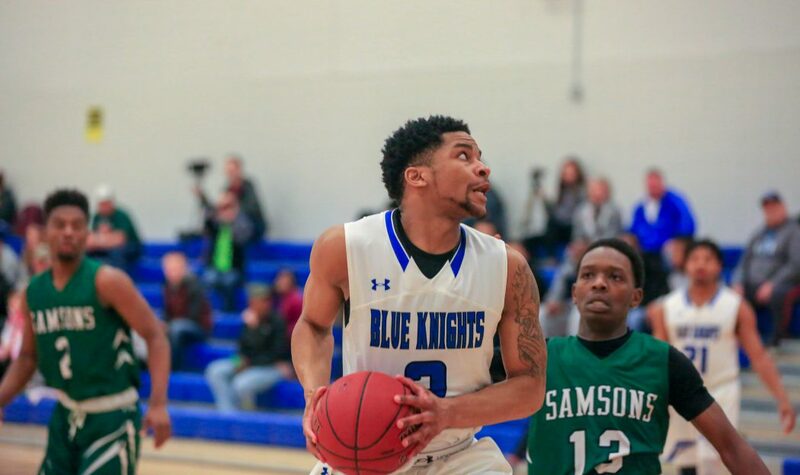 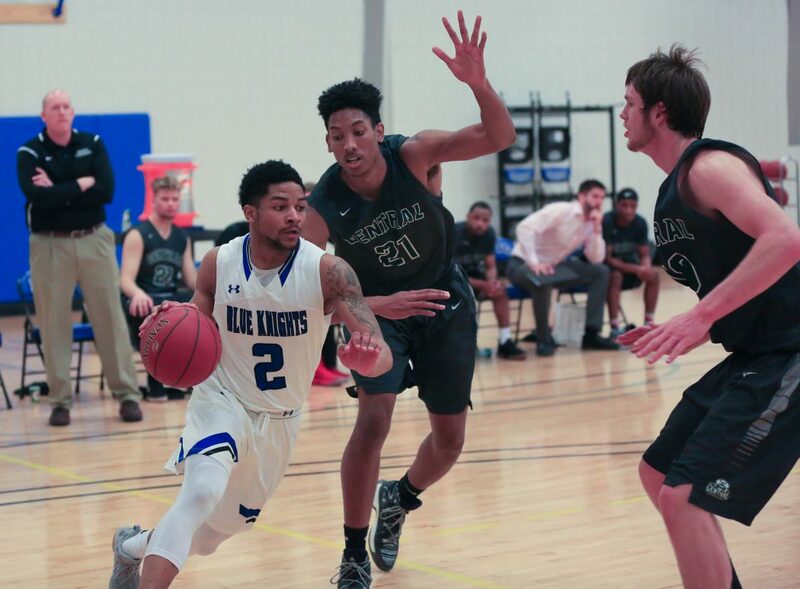 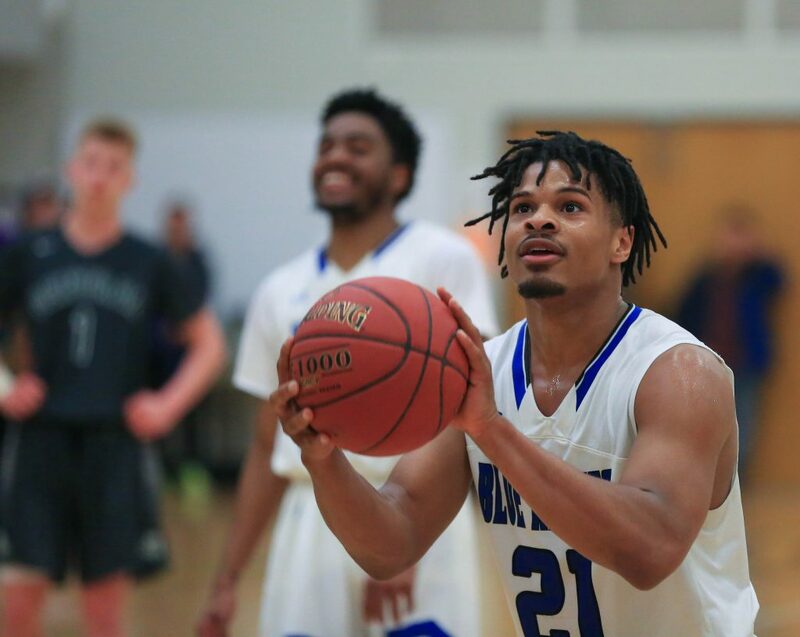 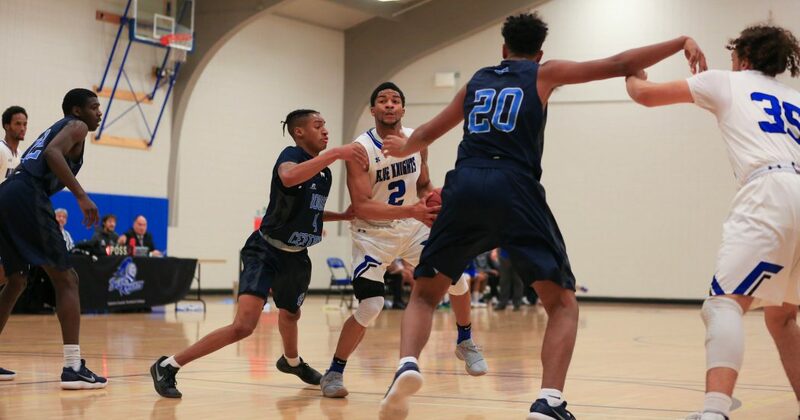 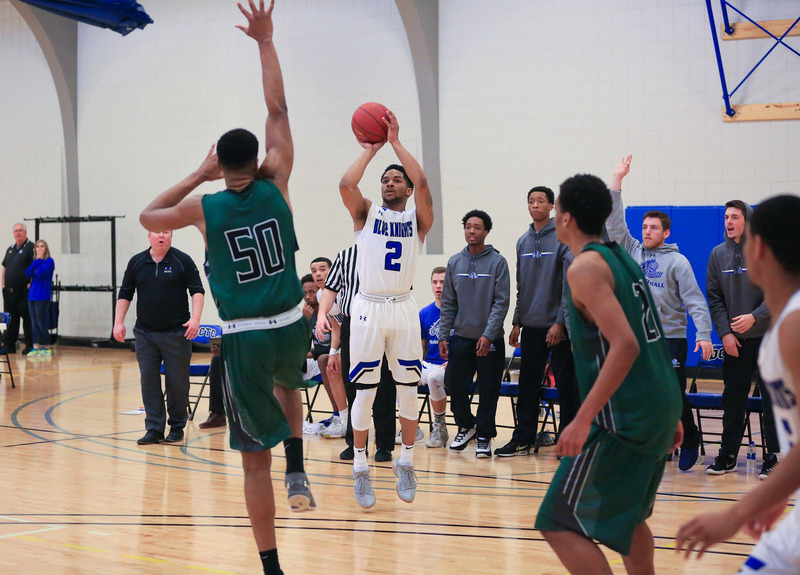 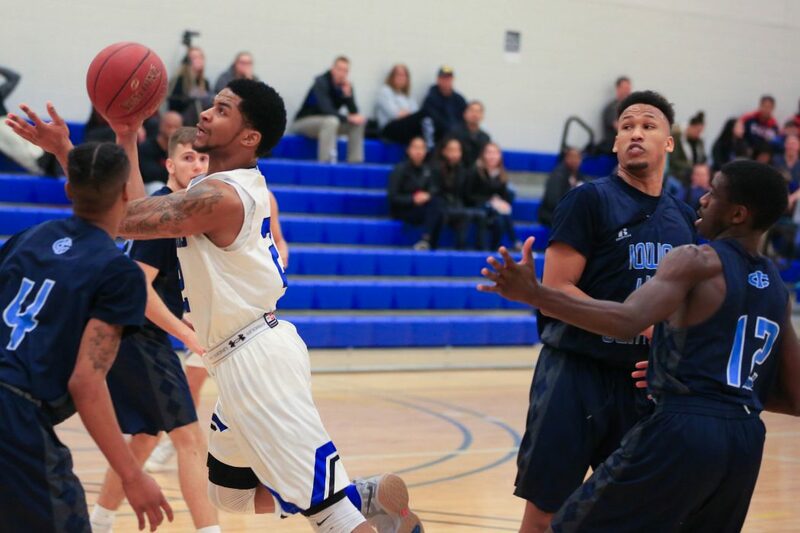 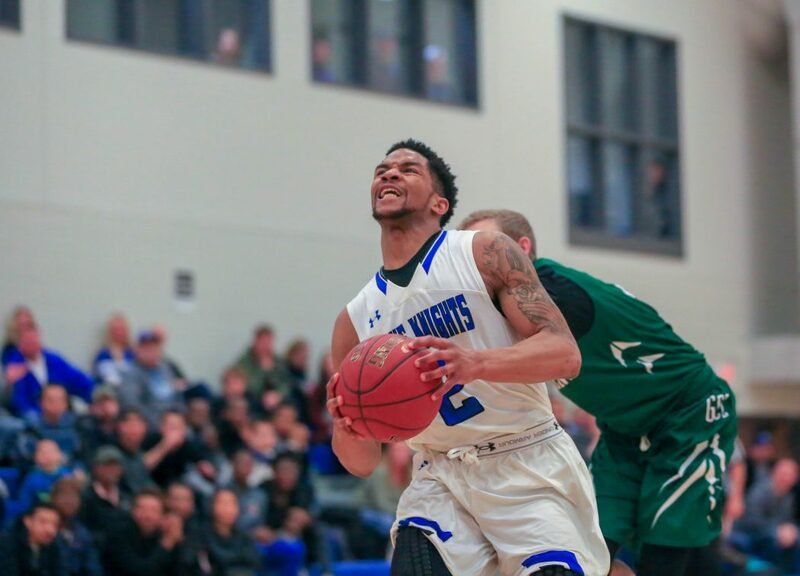 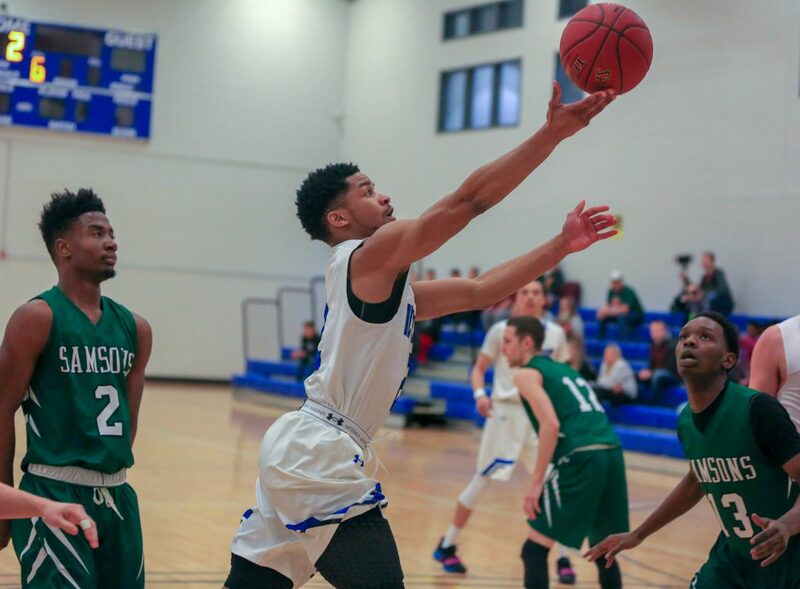 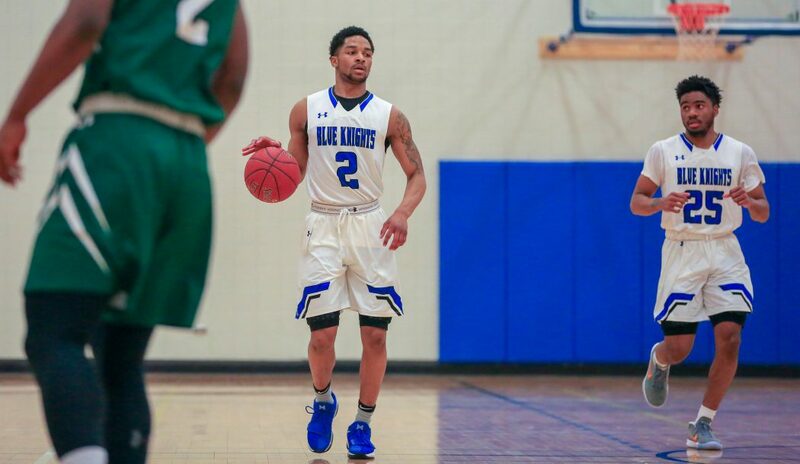 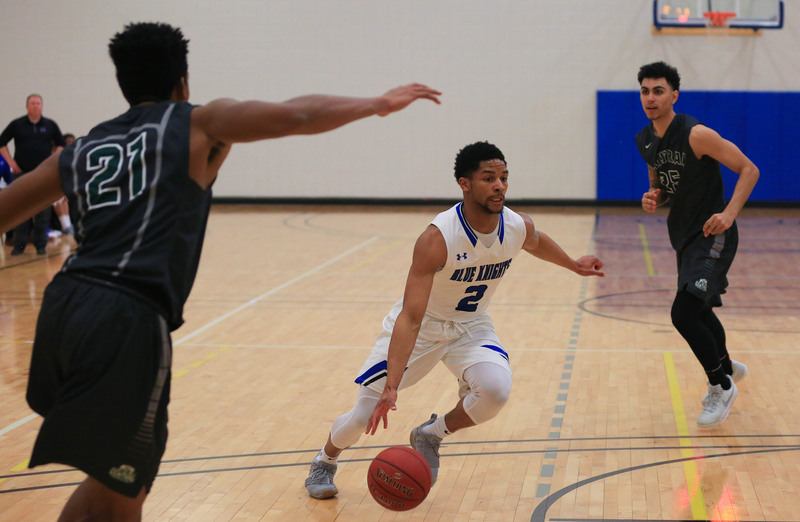 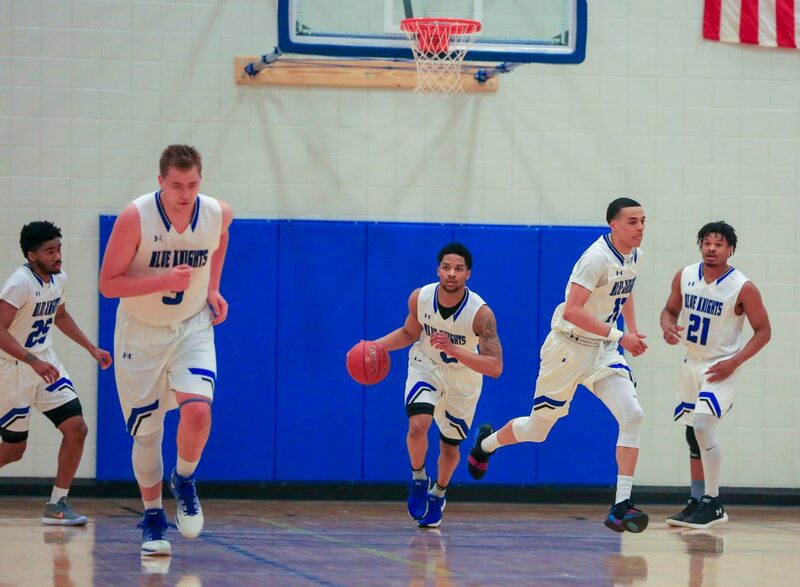 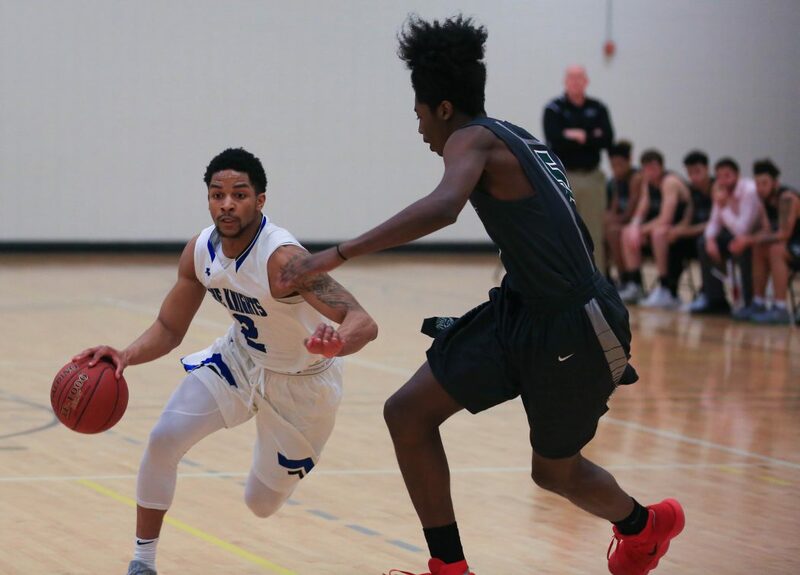 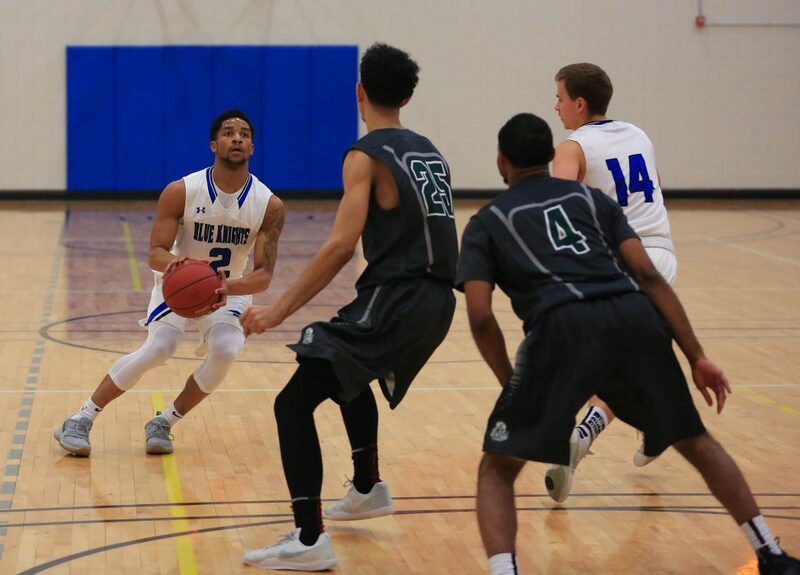 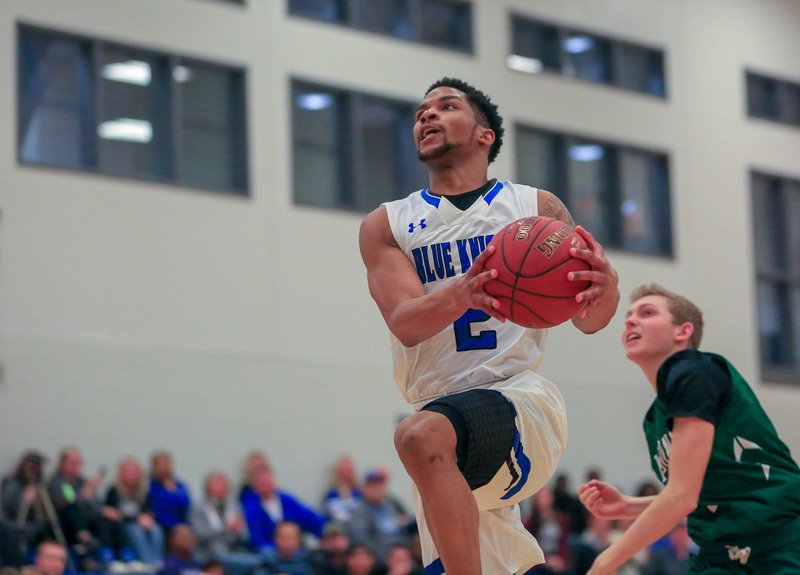 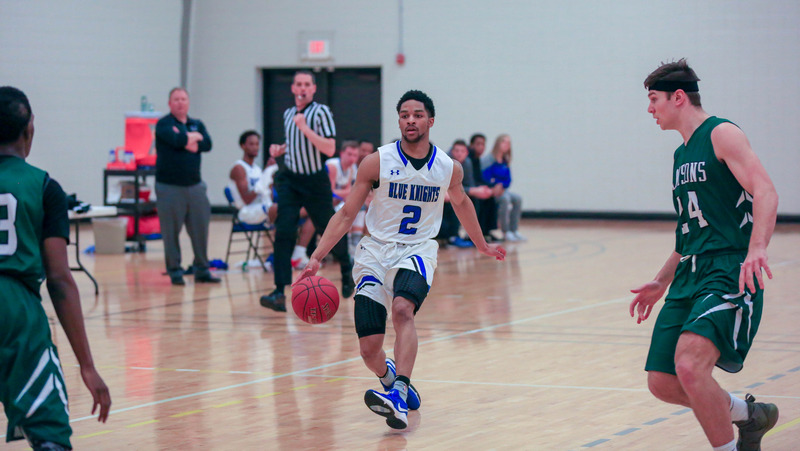 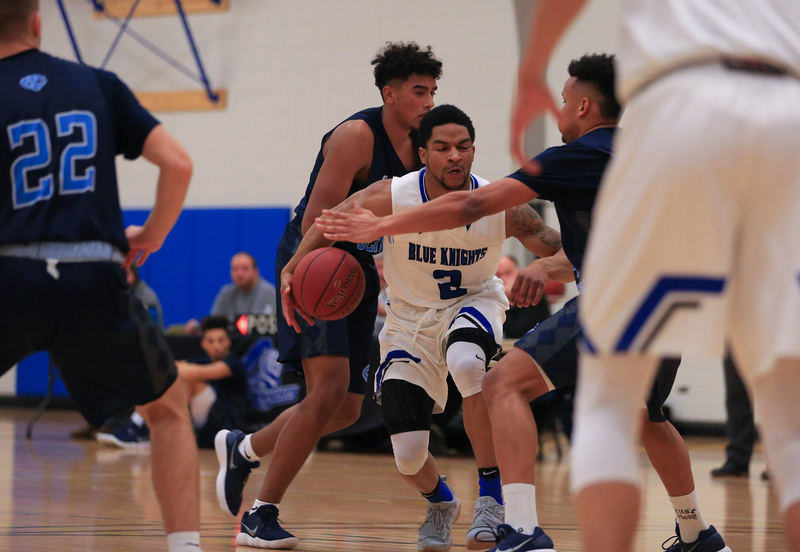 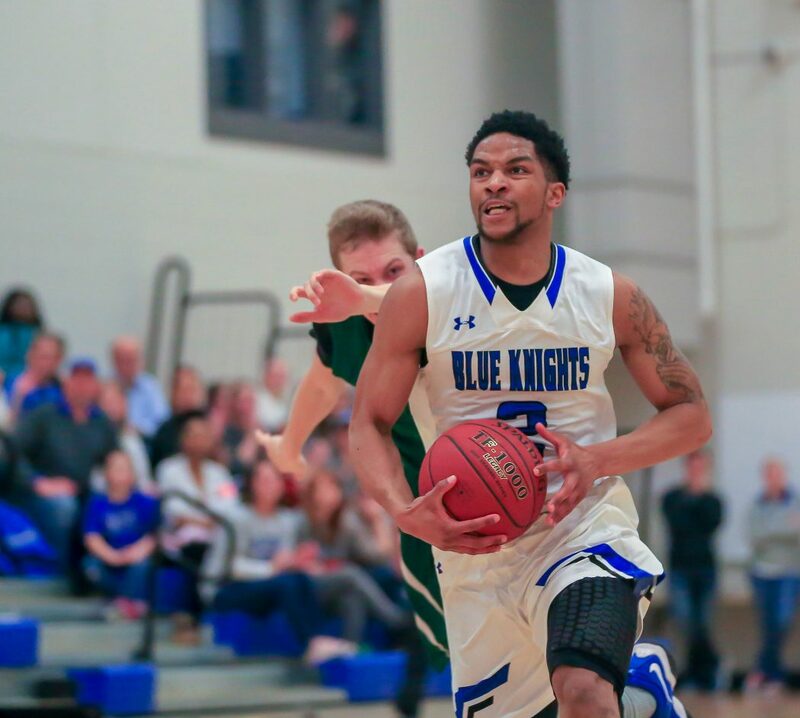 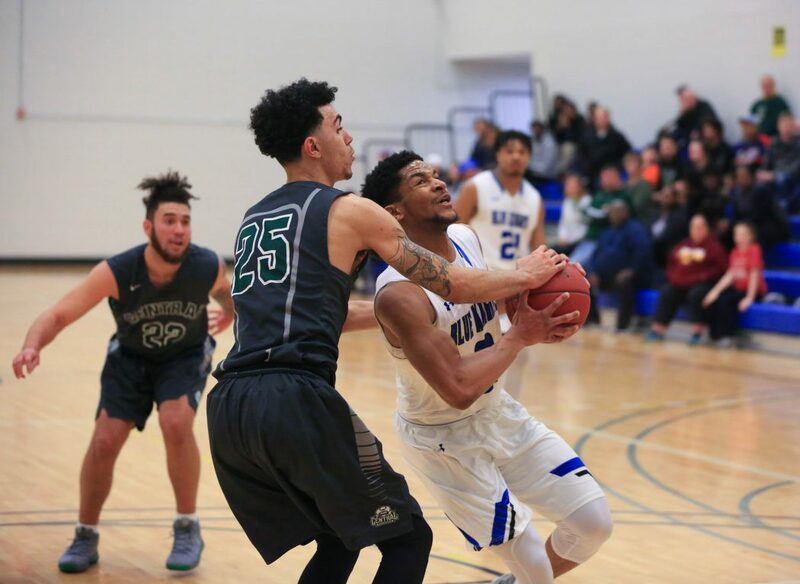 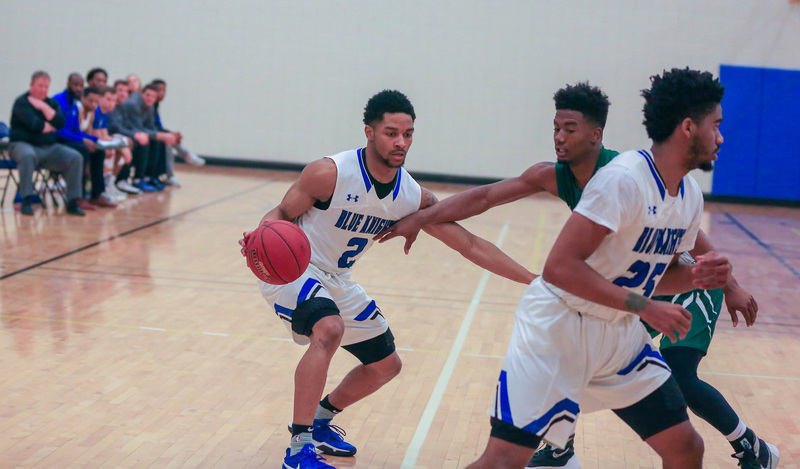 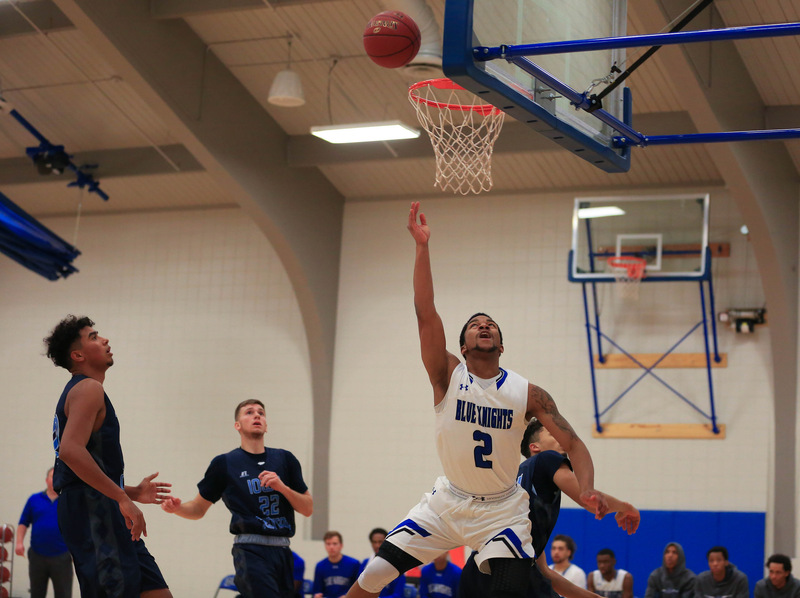 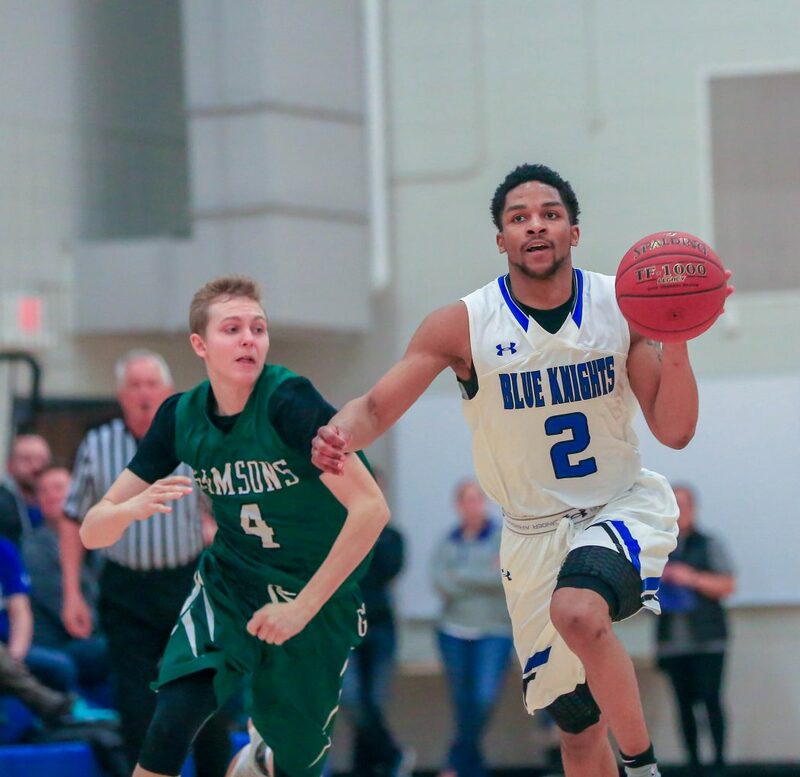 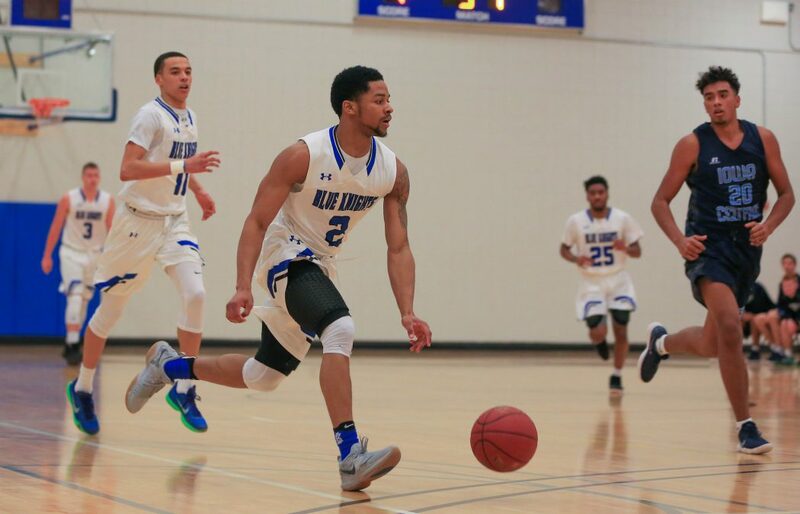 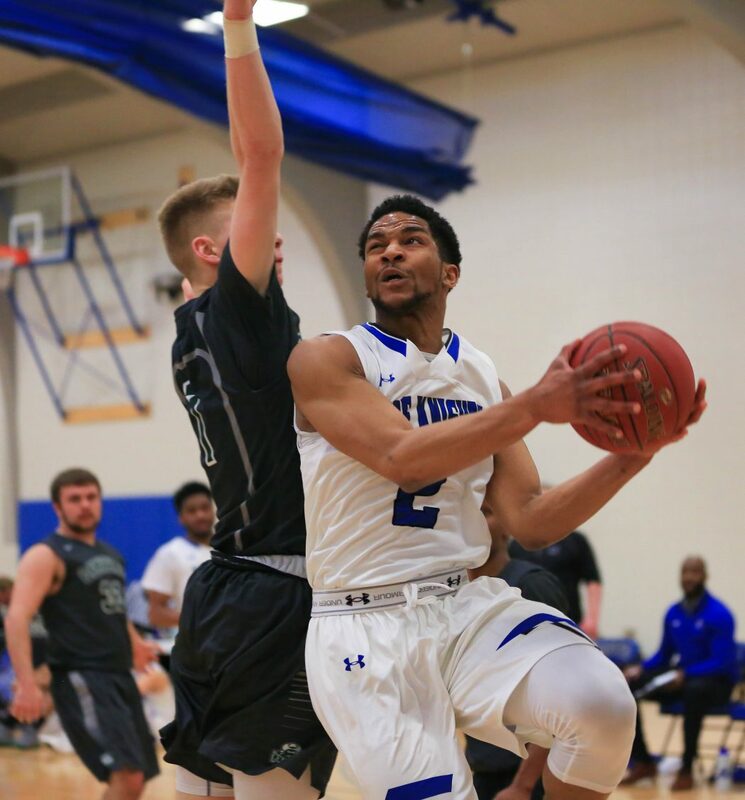 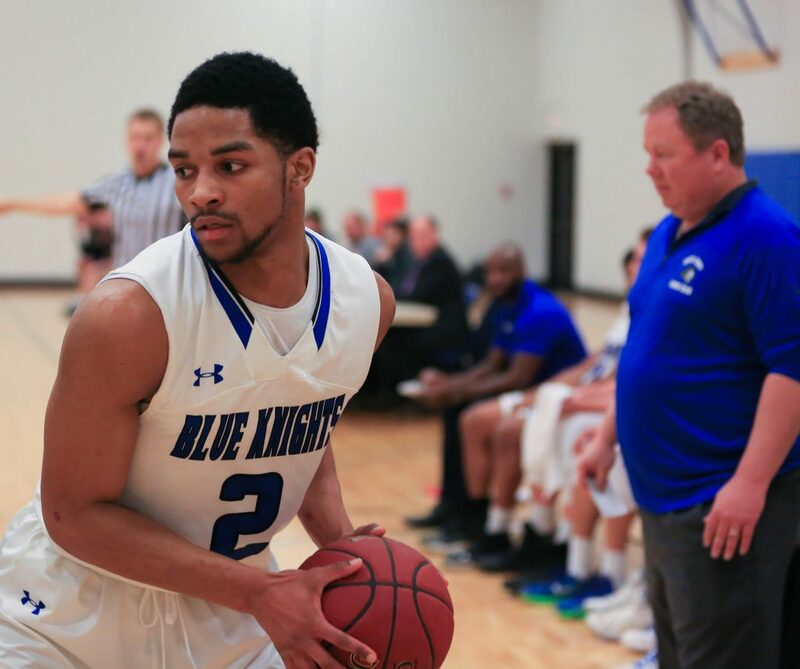 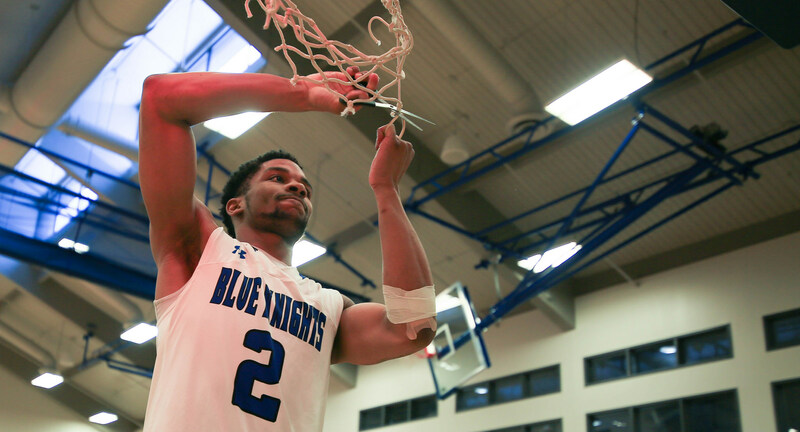 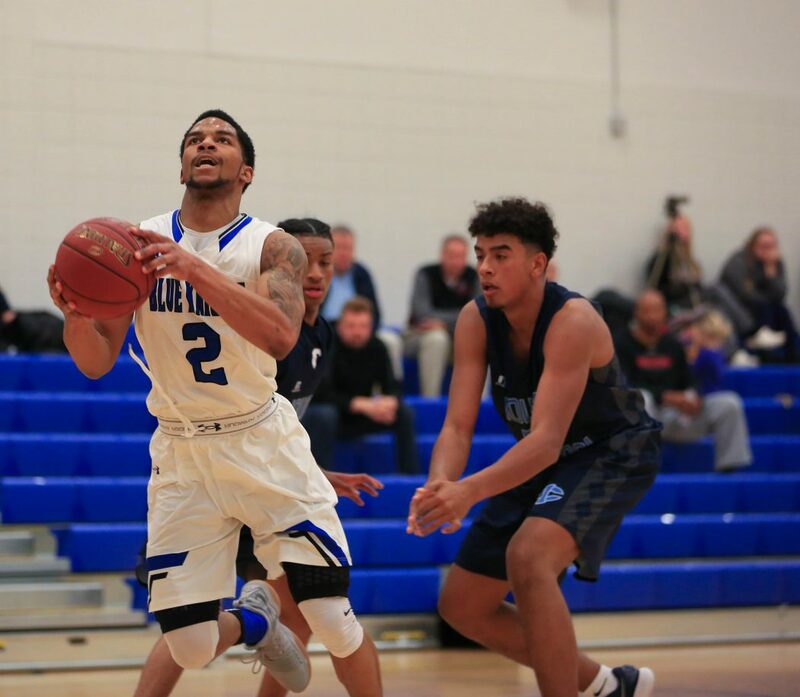 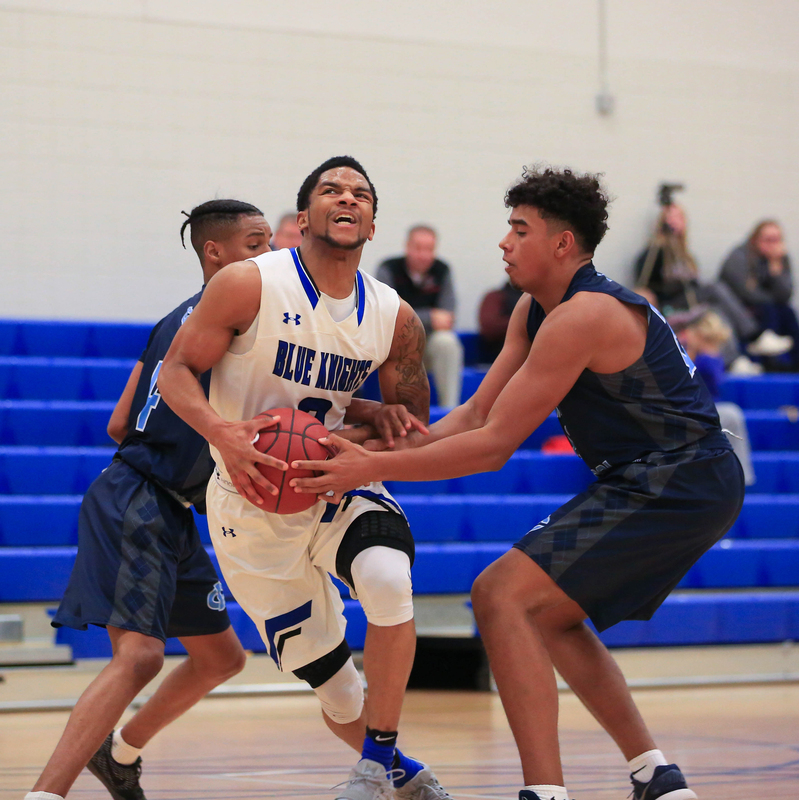 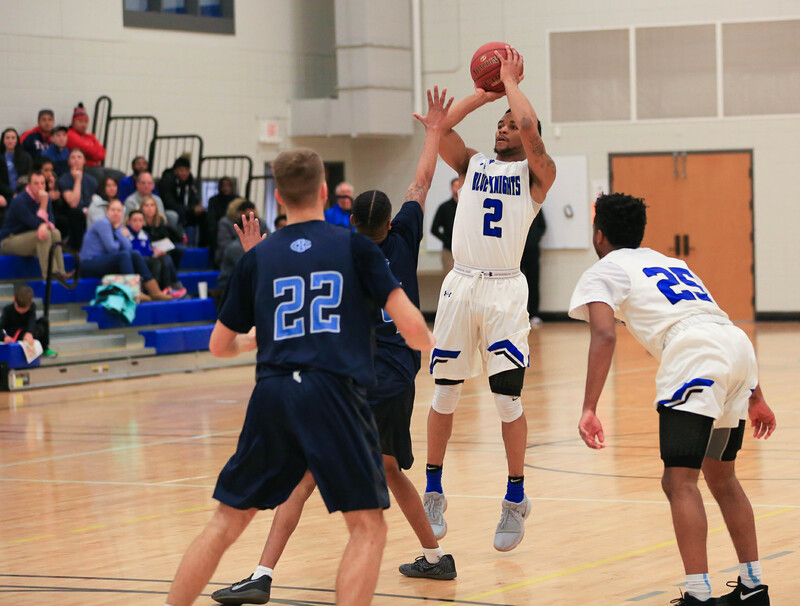 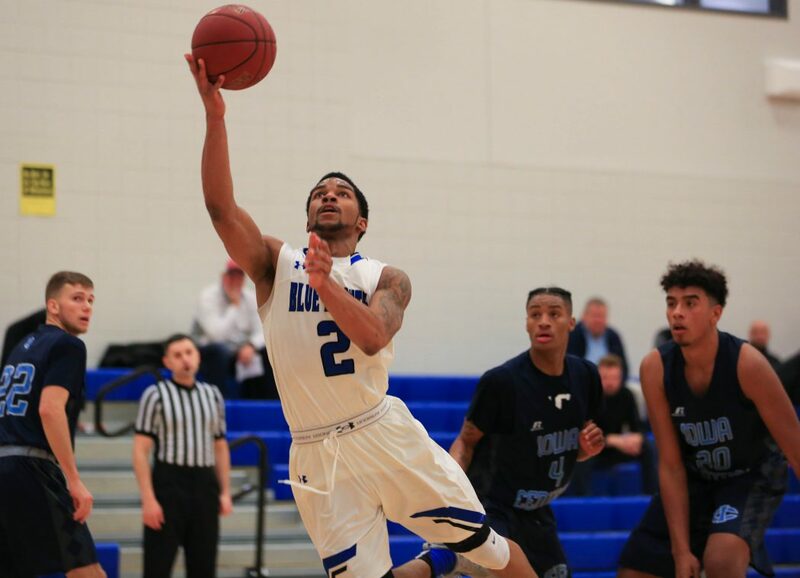 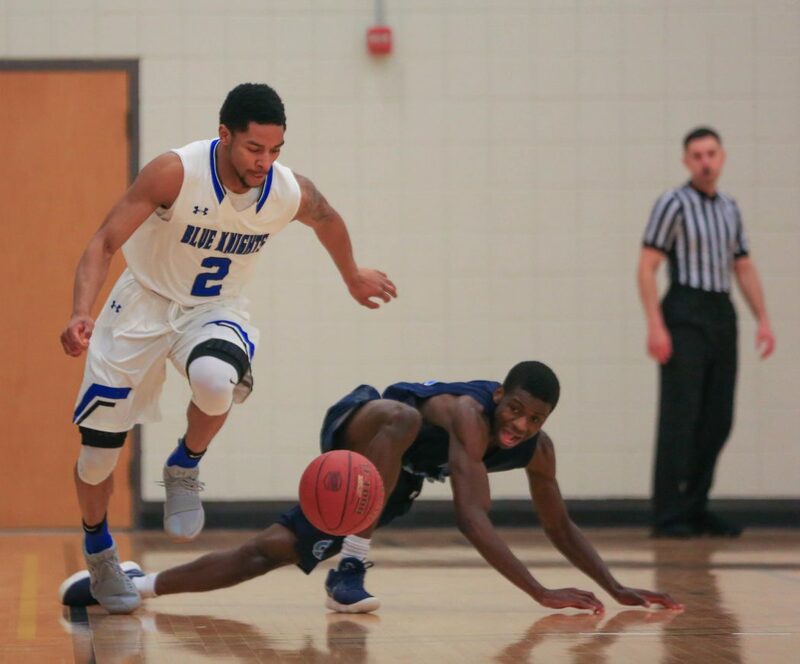 Harlyn Owens II, 20, was selected to the 2018 NABC Coaches’ NJCAA Division II First Team All-America Team for his performance as a freshman on the Blue Knights basketball team at Dakota County Technical College. 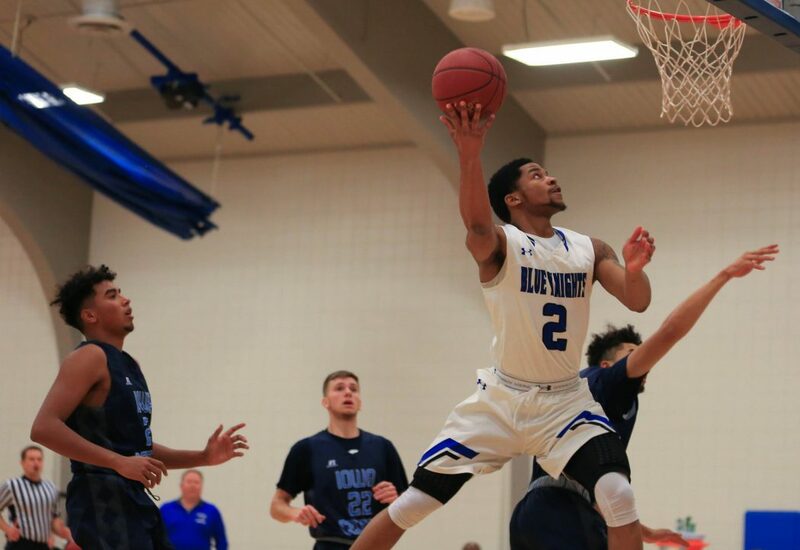 A 6-3, 195-pound guard, Harlyn finished fourth in the nation in scoring with 734 points, averaging 22.2 points per game, ranking him eighth nationwide. 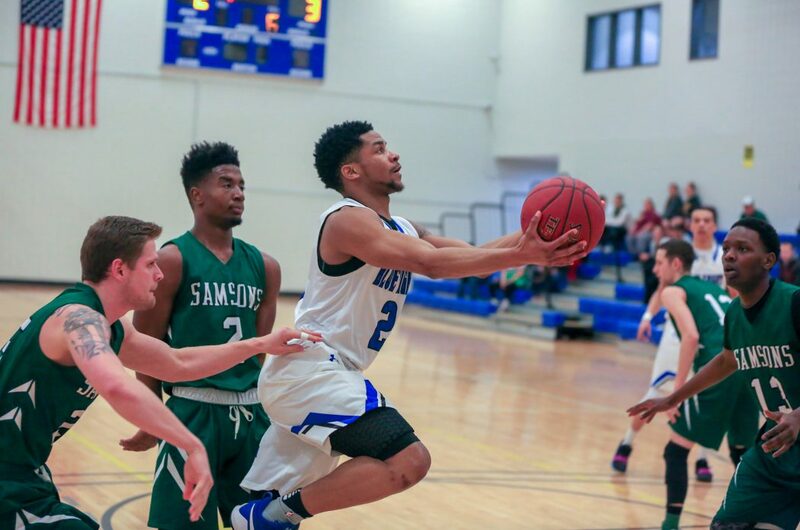 Harlyn was also named NJCAA Region 13 MVP and was selected to the All-Region Team. 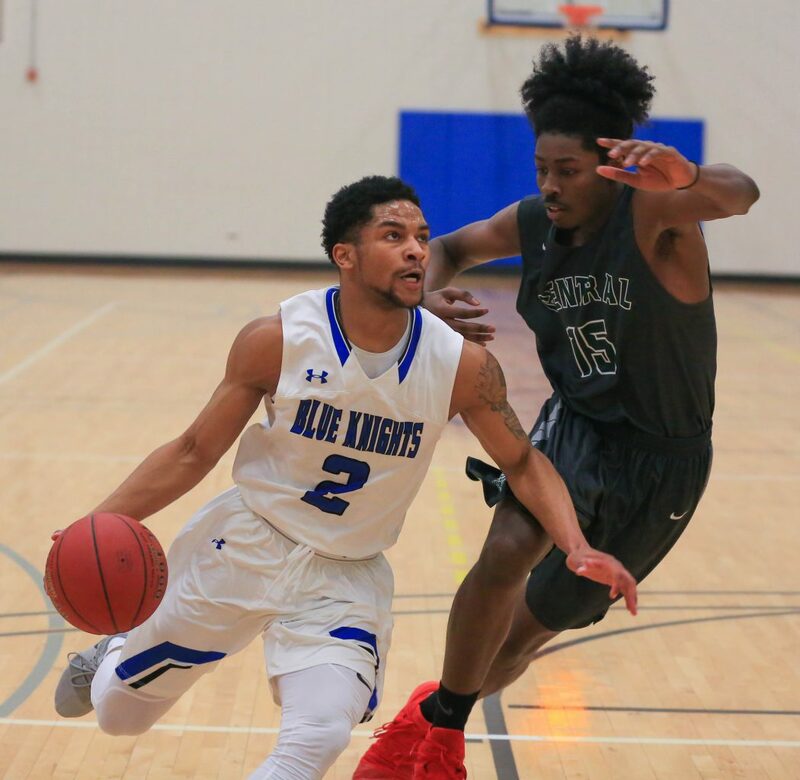 He will be returning as a sophomore to play for the Knights in the 2018–2019 season. 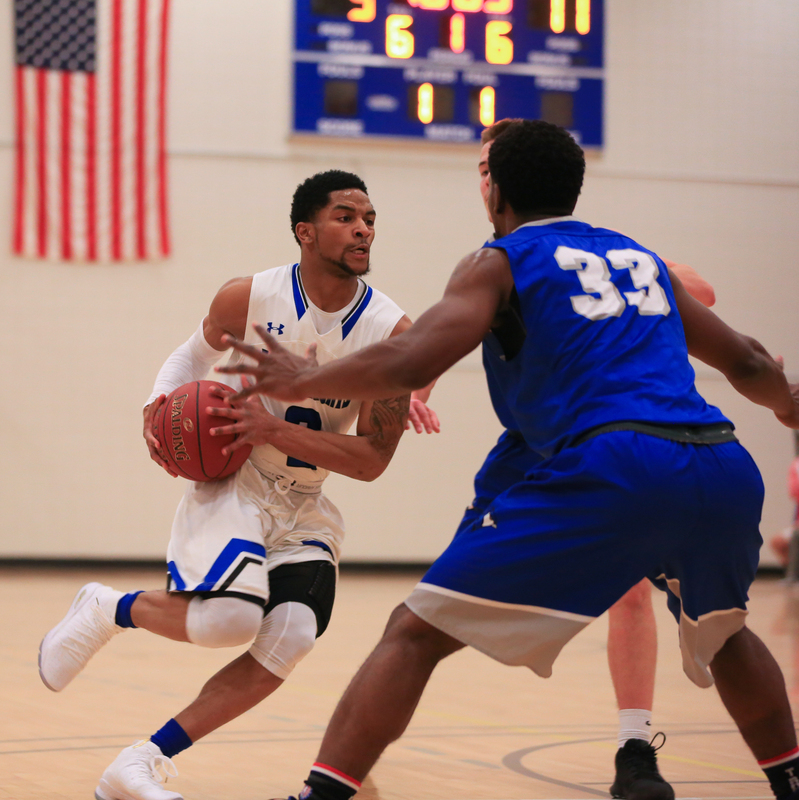 “I am honored to be recognized as an NJCAA DII First Team All-American,” Harlyn said, adding that he is looking forward to contributing to the team’s continued success next year. 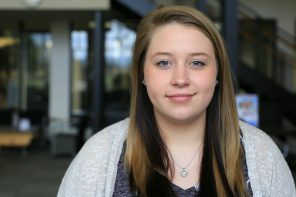 He is earning an Associate of Science (A.S.) in Individualized Studies at DCTC. 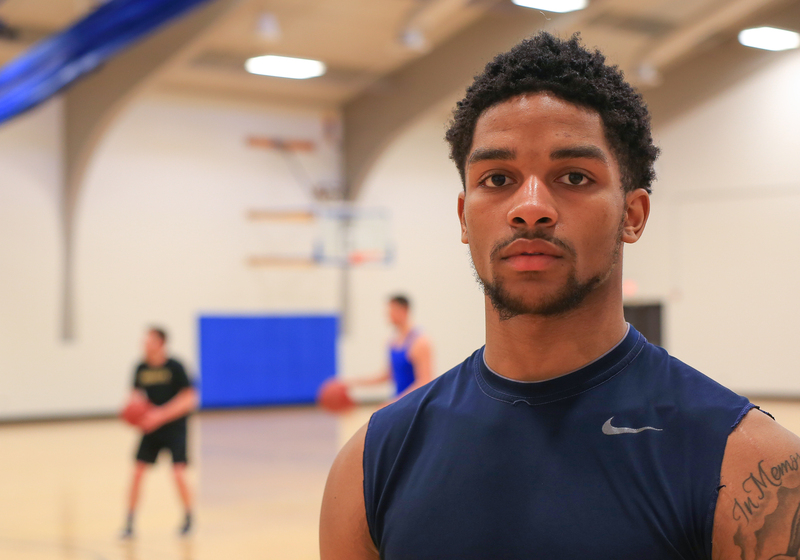 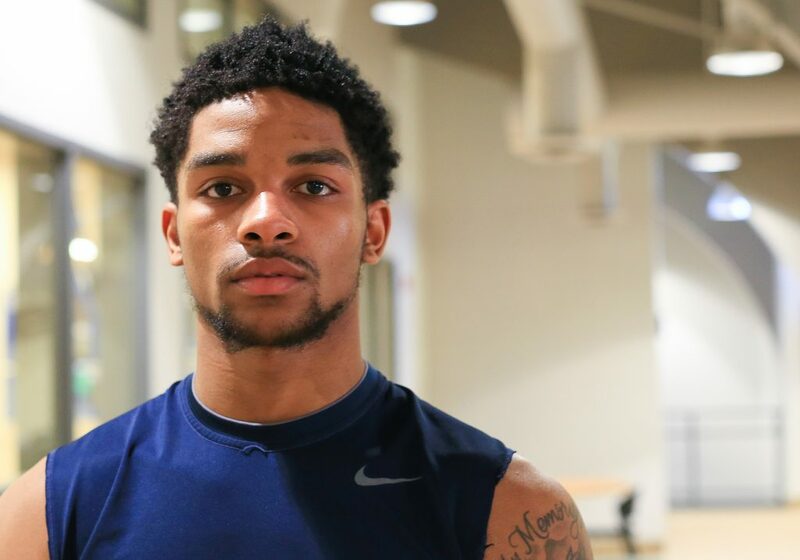 He is a certified personal trainer and his long-range academic goals are centered on transferring to a four-year university to study exercise and sport science while playing NCAA DI basketball. 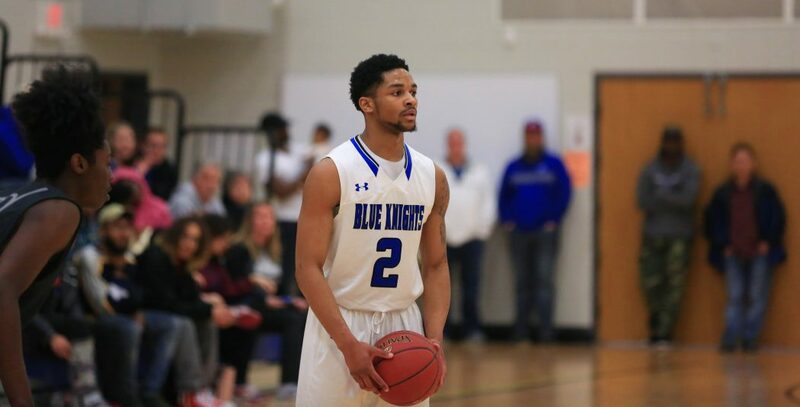 He is looking at George Mason, Northern Iowa and the University of Minnesota as potential transfer options. 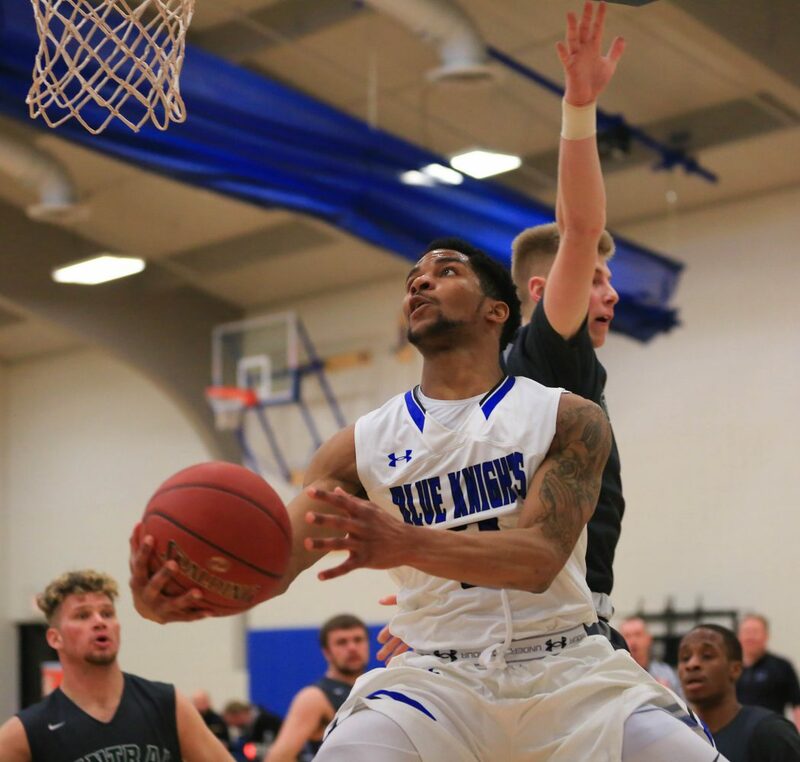 Harlyn is focusing his long-range career plans on playing professional basketball either in the NBA or overseas. 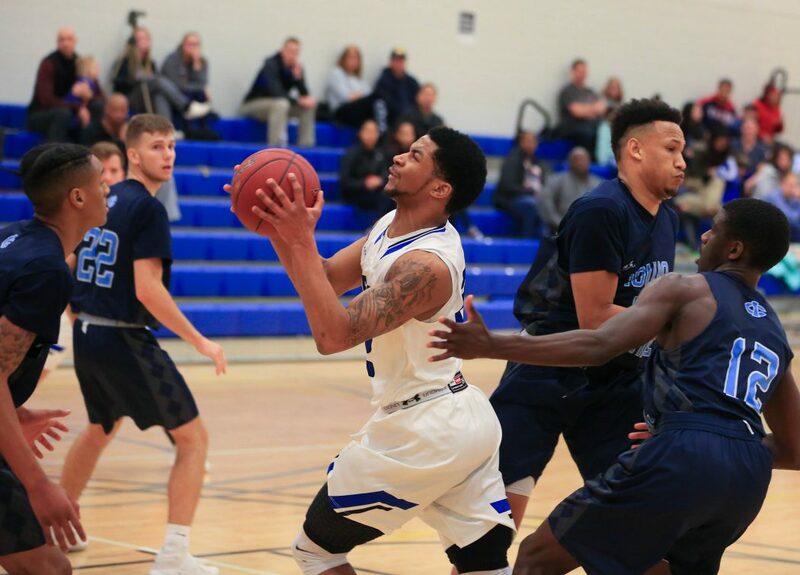 Determined to make his mark as a pro, he is inspired by the success of his friend, Markelle Fultz, a rookie point guard for the Philadelphia 76ers. 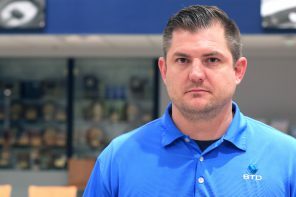 Head Coach Kelly Boe is anticipating Harlyn’s return to the squad next year as a proven leader with national tournament experience. Harlyn grew up in Penn Hills, Pennsylvania, a municipality near Pittsburgh. 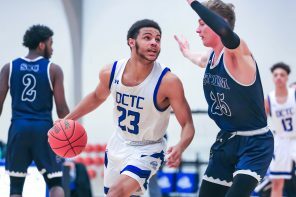 He moved with his family to Laurel, Maryland, at age 16 and graduated from St. Vincent Pallotti High School, where he played basketball for the Panthers, earning all-conference honors as a guard. 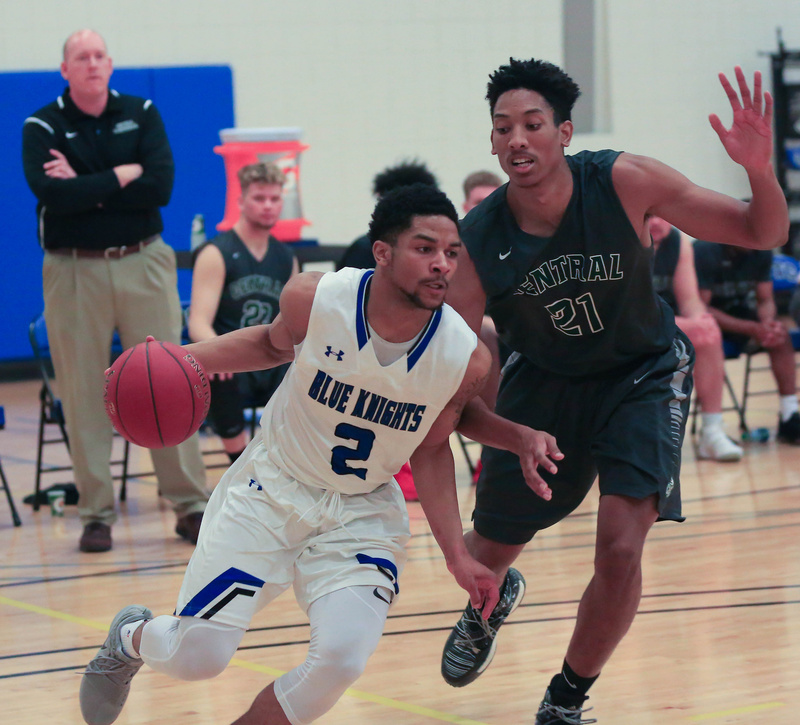 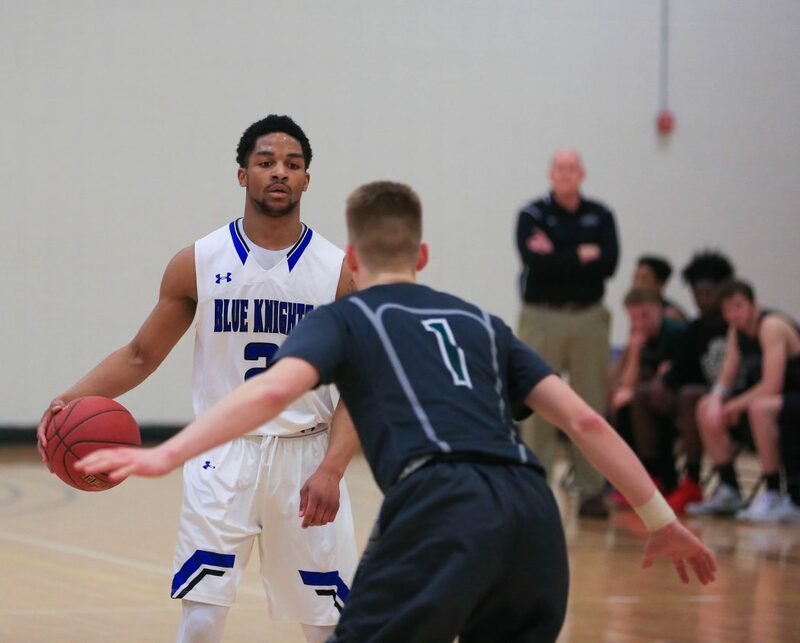 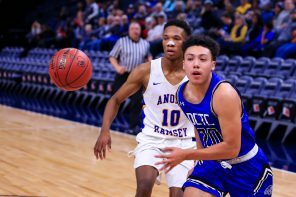 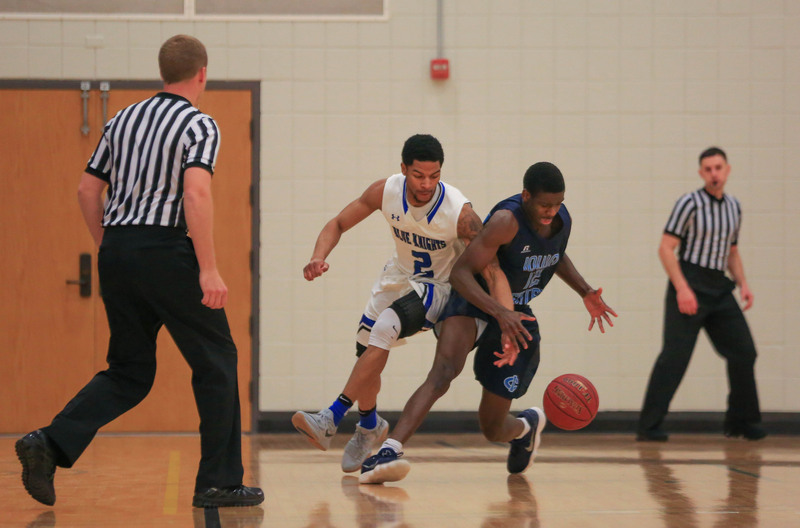 After moving to Minnesota last year, he checked out two-year colleges in the area and opted to sign with the Blue Knights to play basketball. 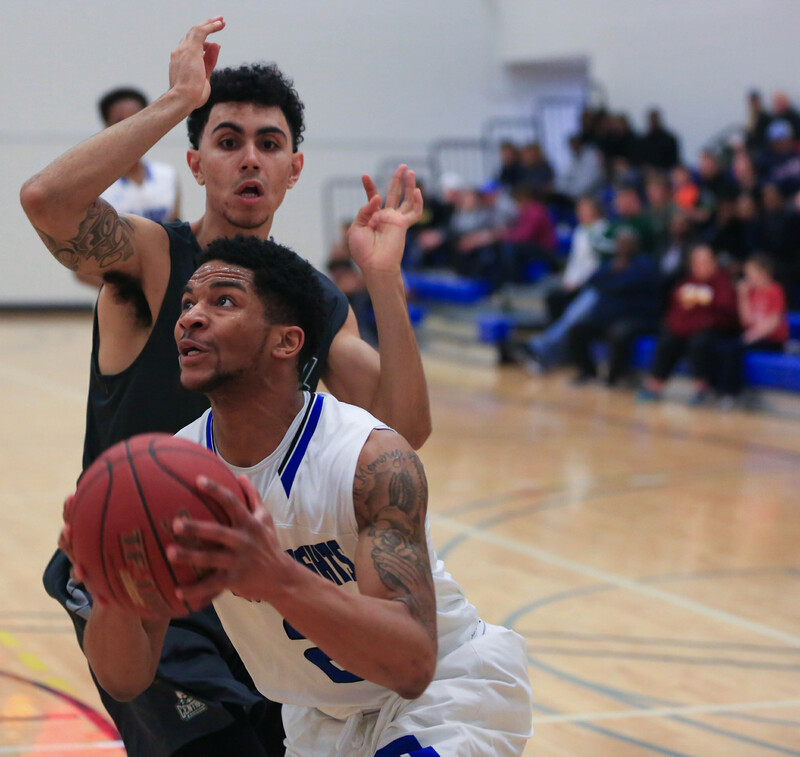 He commutes to DCTC from Burnsville and has plans to work at Target over the summer. 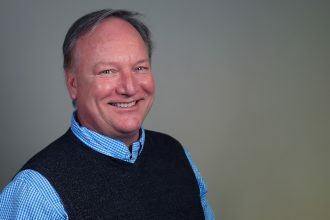 His father works as a chemist at Valspar Corporation. 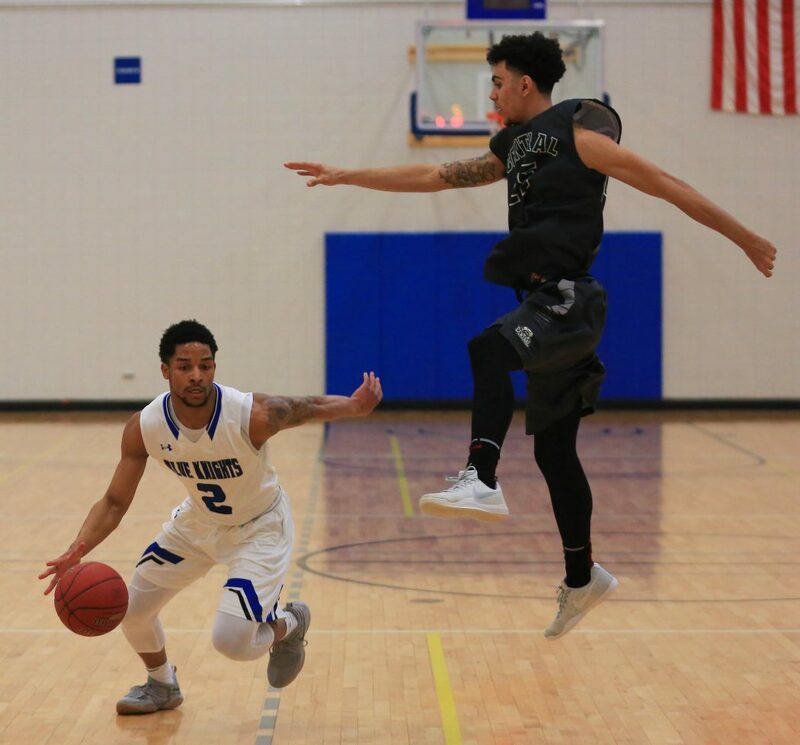 Harlyn has two brothers, Thomas, 17, who is on track to play NCAA DI football as a cornerback, and Christopher, 14, who excels at basketball and football. 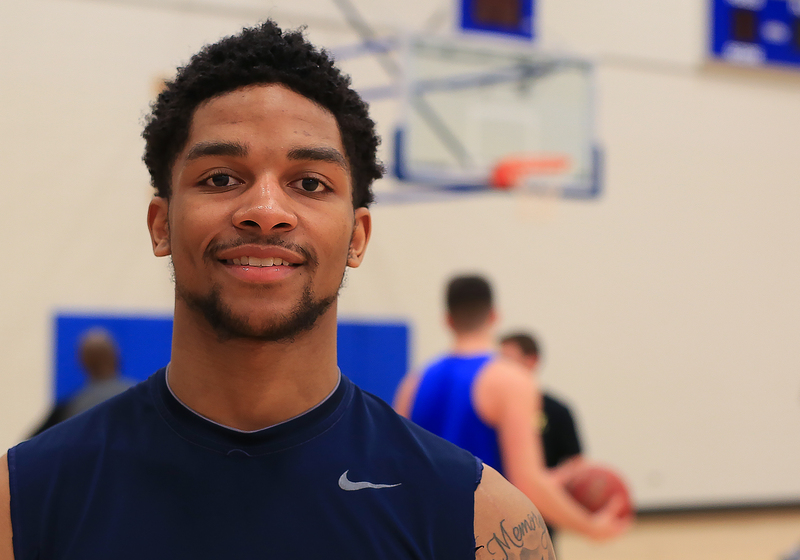 When he’s not studying, working out or playing basketball, Harlyn enjoys spending time with family and friends. 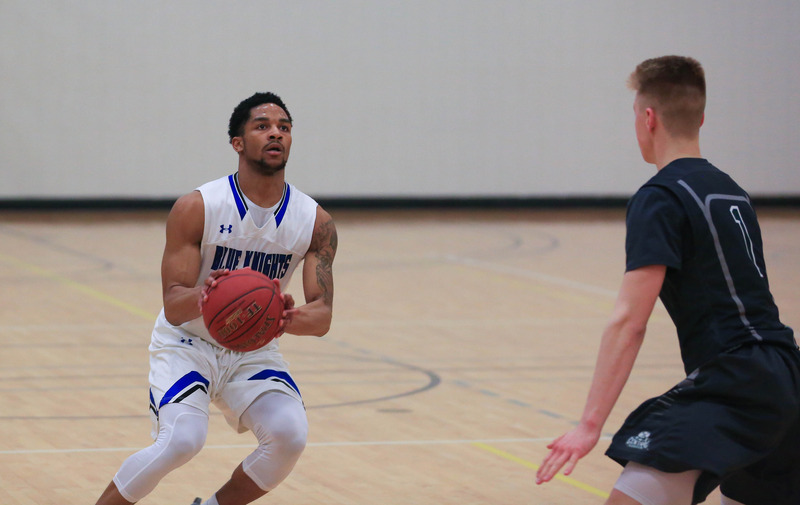 He also enjoys all kinds of music, including hip hop, jazz and R & B. 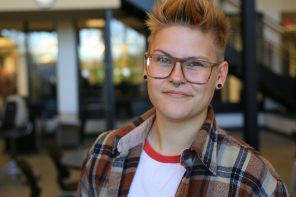 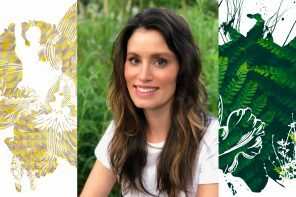 What do you like best about Individualized Studies? 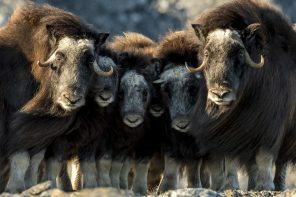 I meet a lot of different teachers from various fields. 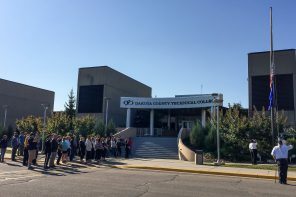 That gives me the chance to see the great relationships the teachers have with people in their professions. 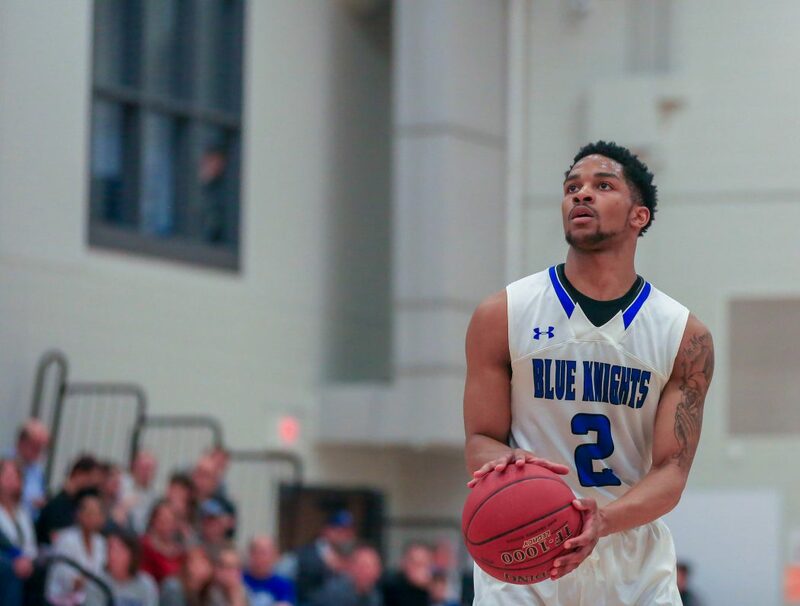 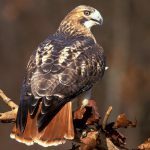 What is your favorite NCAA DI team? 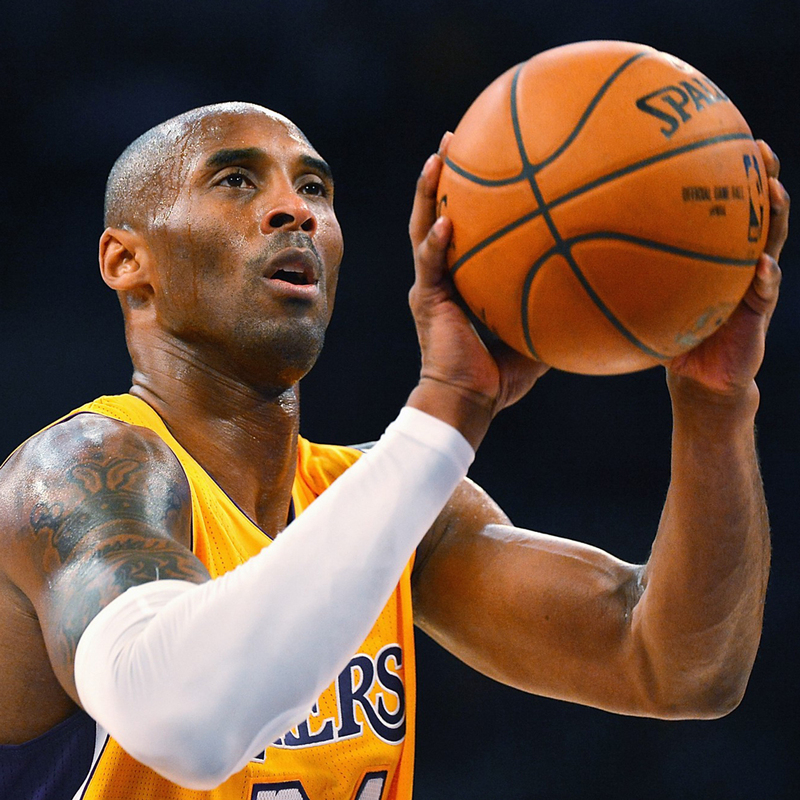 What sport do like best after basketball? 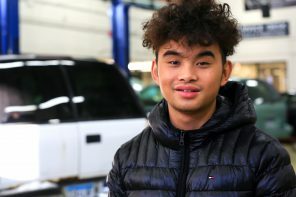 First thing you would buy if you won the $1.5 billion Powerball: Donate half the money to help kids pay for their college educations. 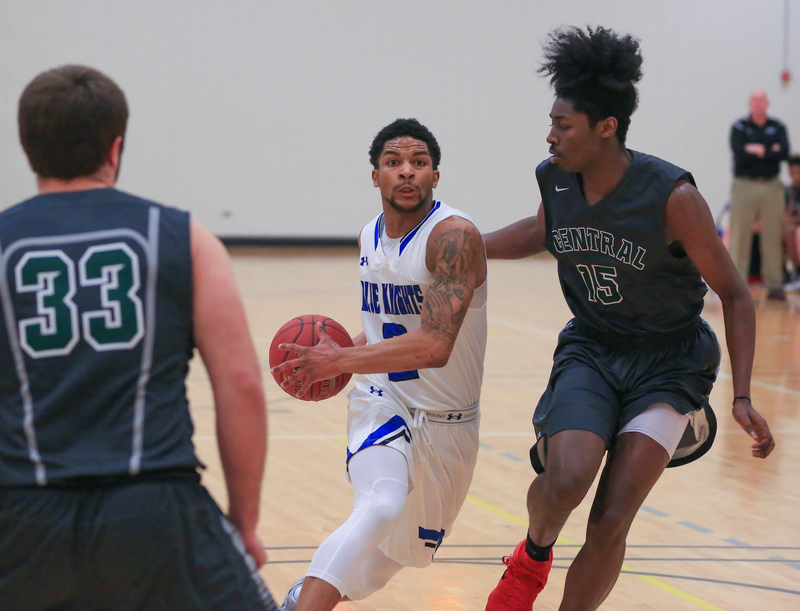 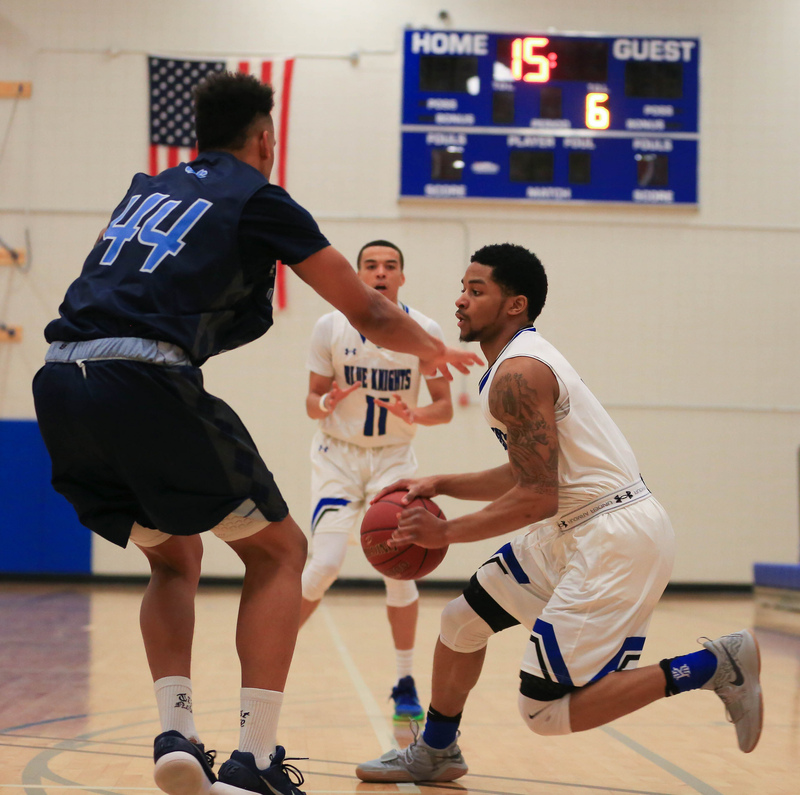 Sophomore Guard Demario Armstrong was named to the NJCAA Region 13 All-Region Team. 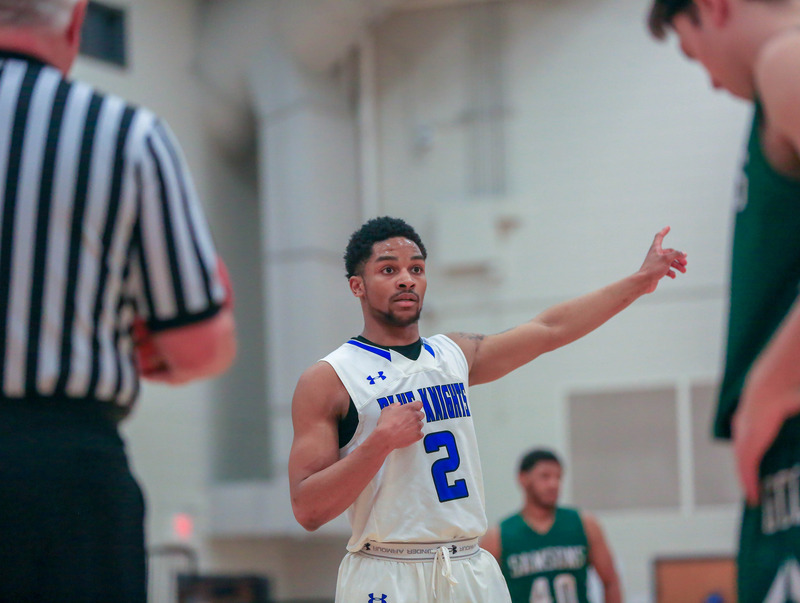 Demario averaged 16 points per game and led the team in three pointers, assists and steals. 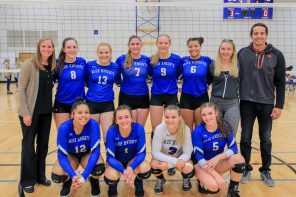 Head Coach Kelly Boe was named Region 13 Coach of of the Year for the second straight season. 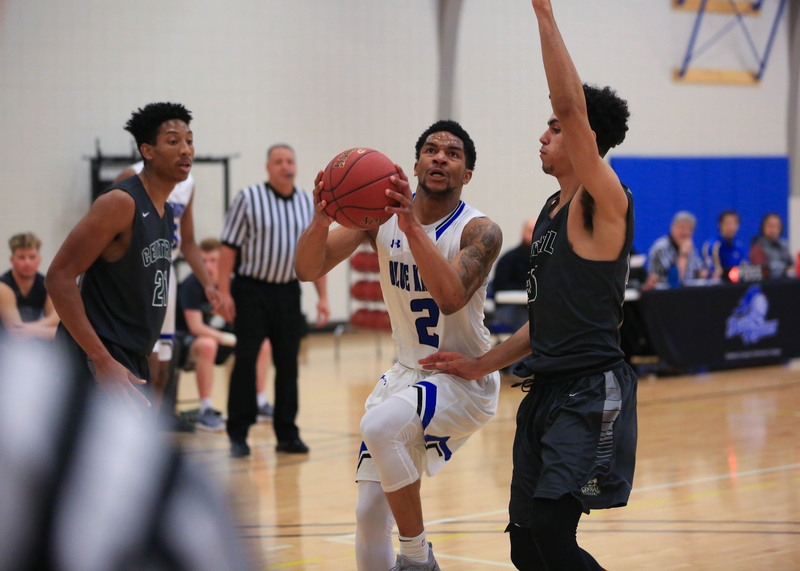 DCTC took home the Region 13 and District VII championships to advance to the 2017–18 NJCAA Division II Men’s Basketball Championship for the third year in a row. 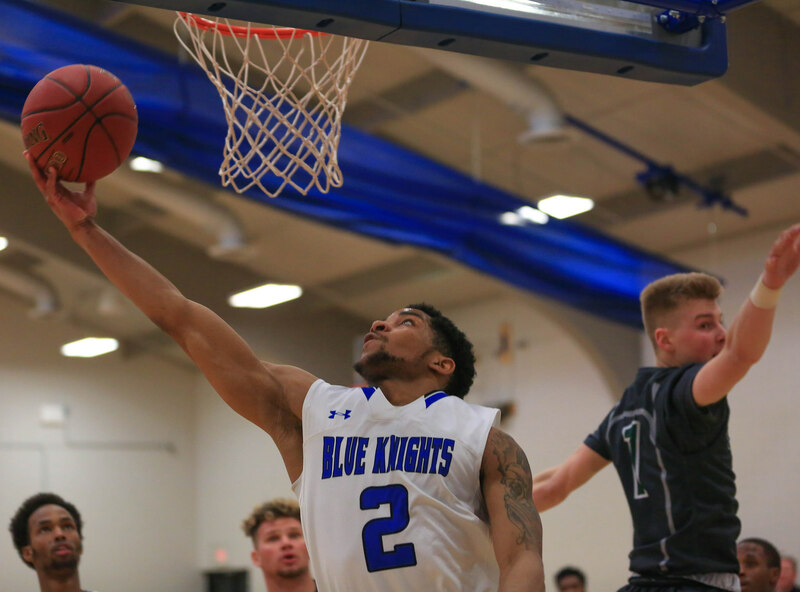 Seeded #12, the Knights beat #4 seed Louisburg College in Consolation Game 13 at the tourney and completed the season with a 23–10 record. 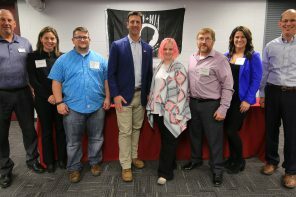 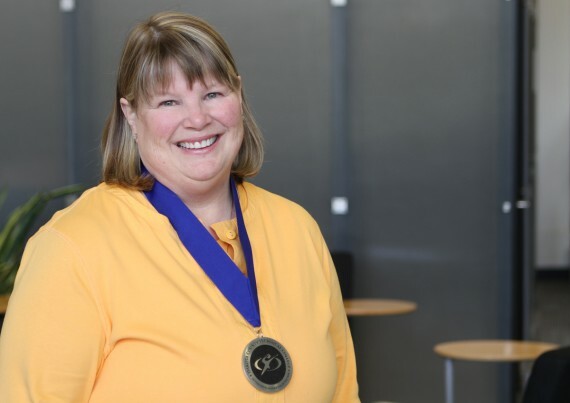 Read the full story at DCTC News. 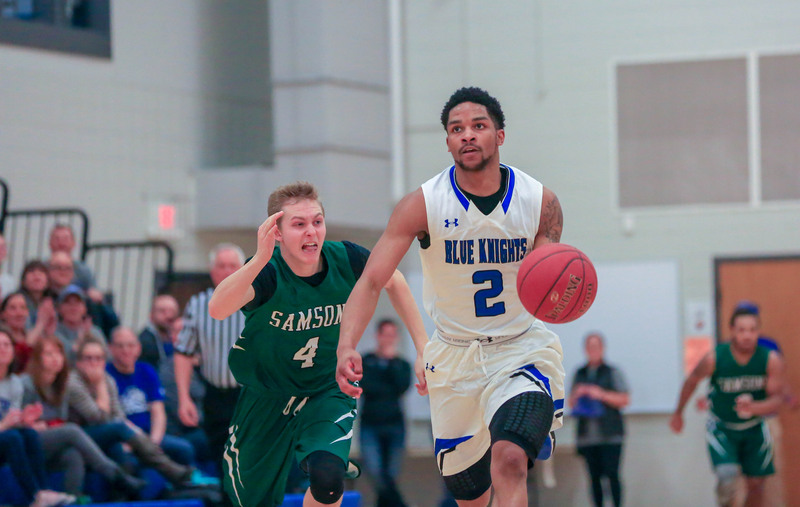 View Blue Knights basketball game albums at DCTC on Flickr.